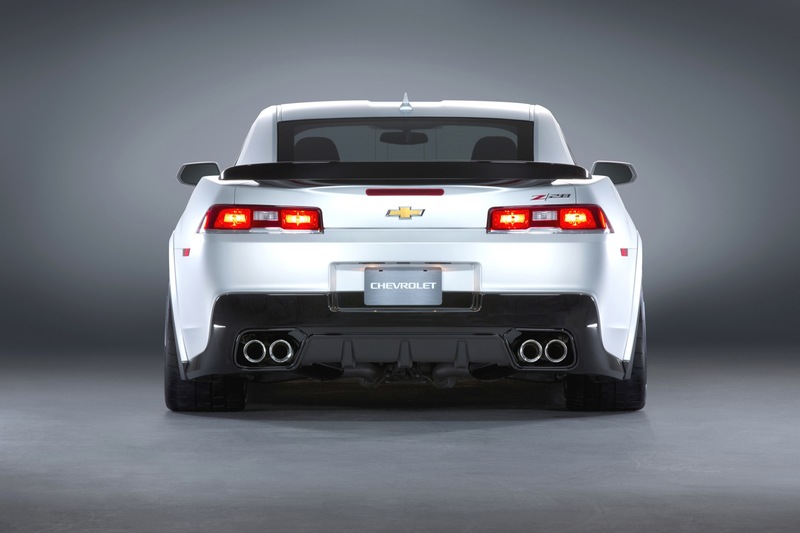 Not to steal the fire from the 2014 Cadillac CTS or anything, but Chevrolet has revealed a refreshed Camaro for the 2014 model year. 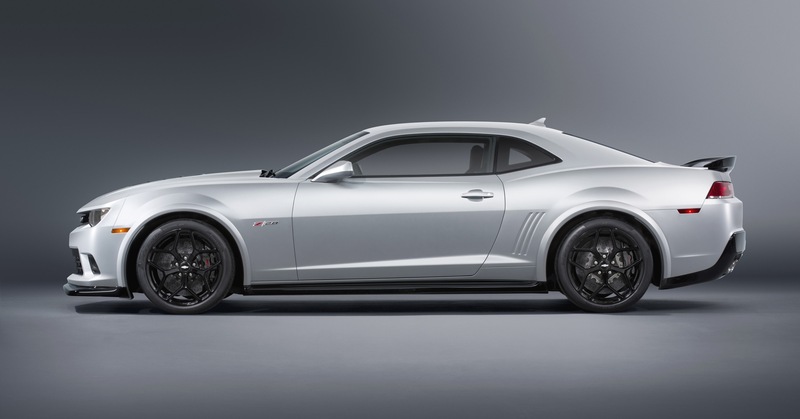 Most importantly, with the new Camaro comes the resurrection of the Z/28 moniker, which will be powered by the amazing 7.0L LS7 V8 engine mated to a six-speed Tremec TR6060 manual transmission. 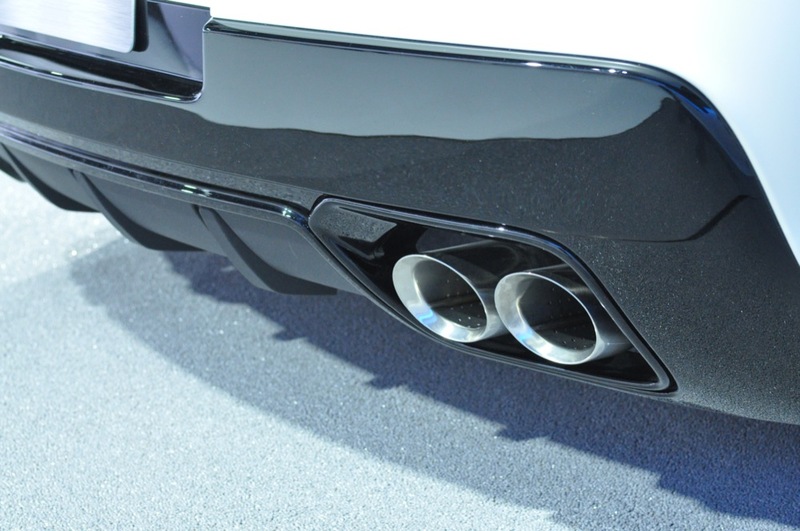 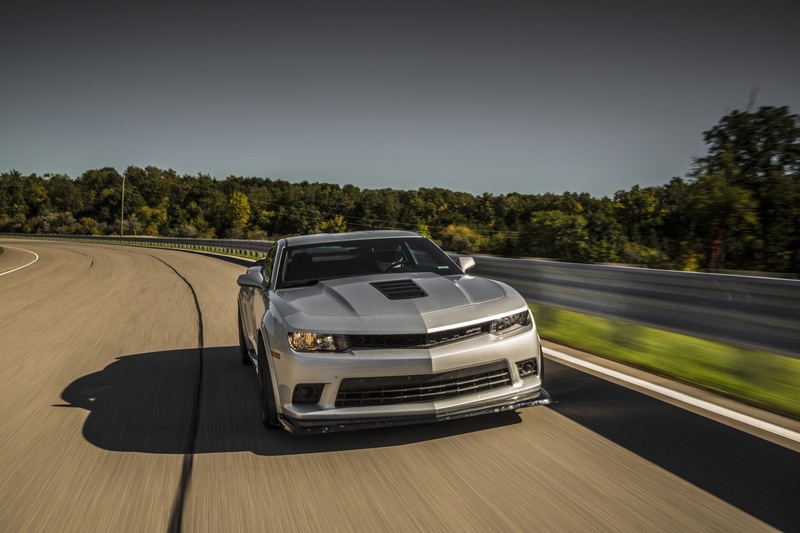 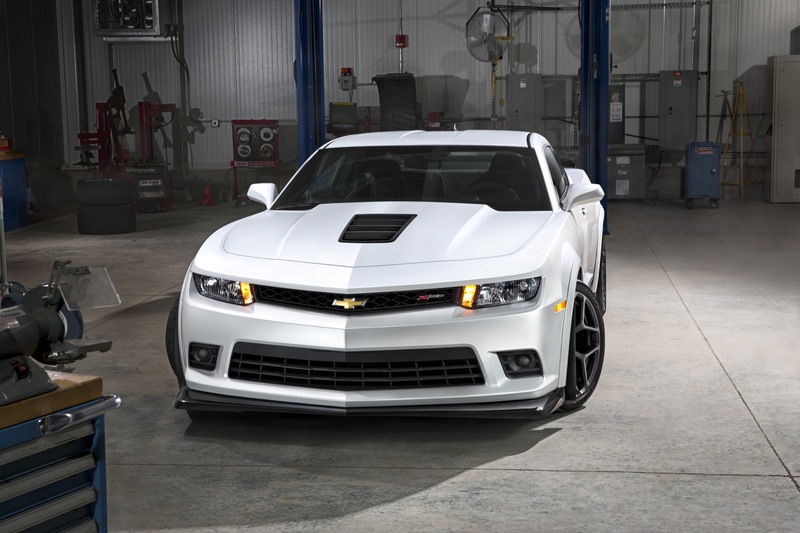 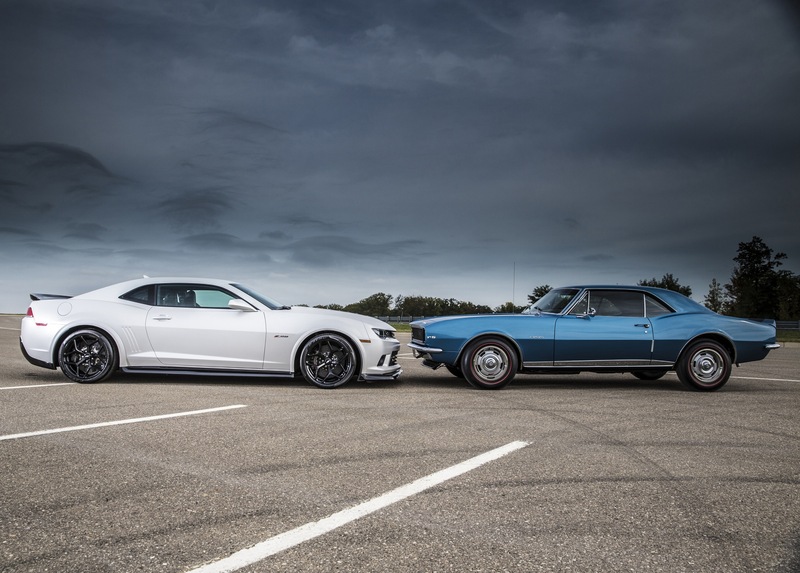 This puts the output of the Z/28 at 500 howling horsepower, and 470 pounds-feet of torque, fitting perfectly between the 426 horsepower Camaro SS, and the 580 horsepower Camaro ZL1. 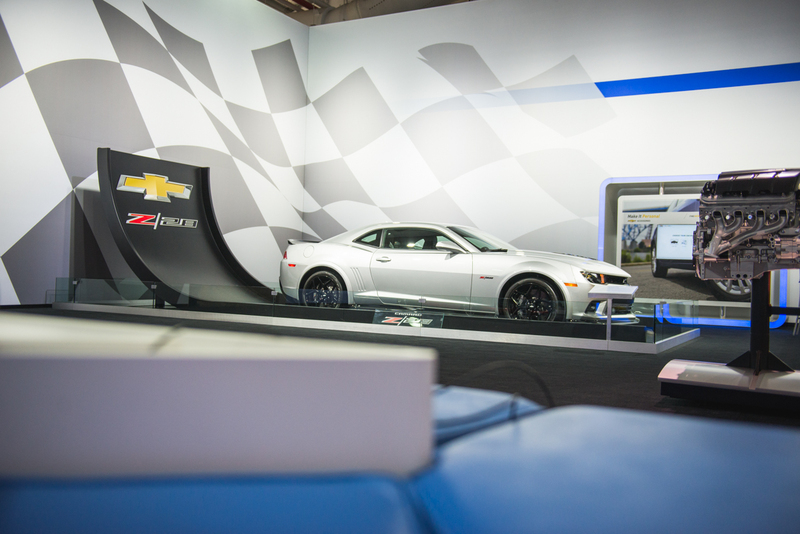 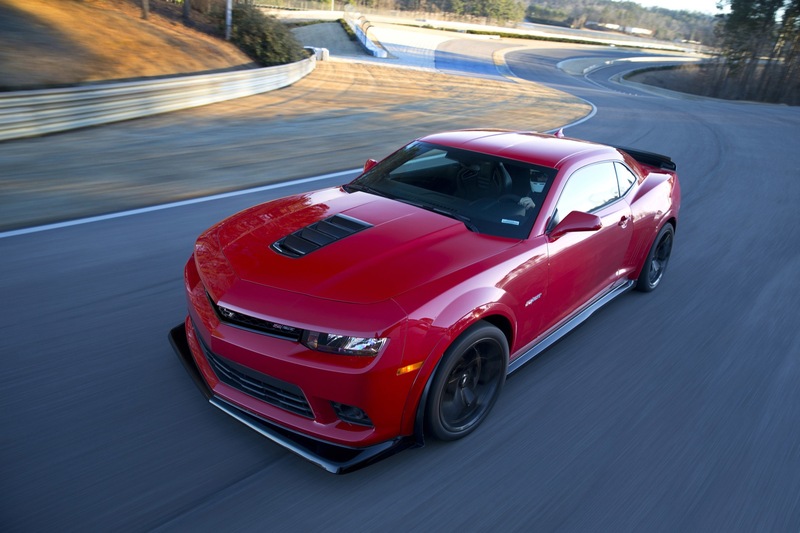 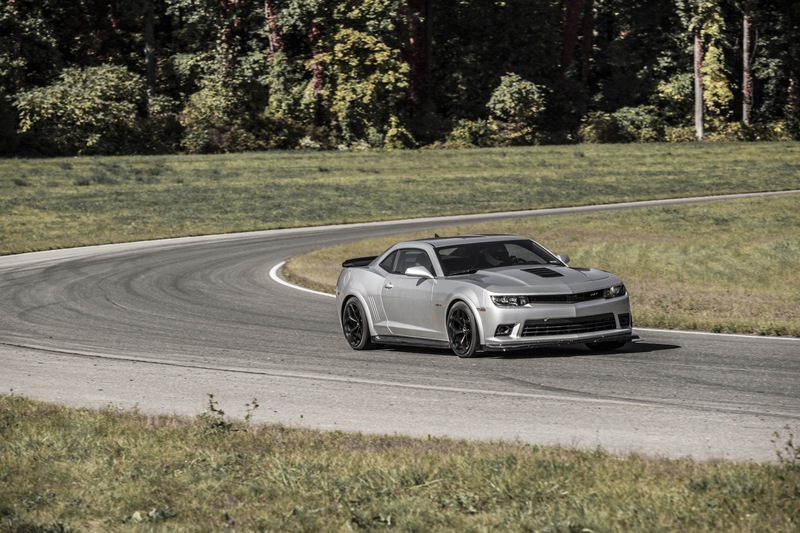 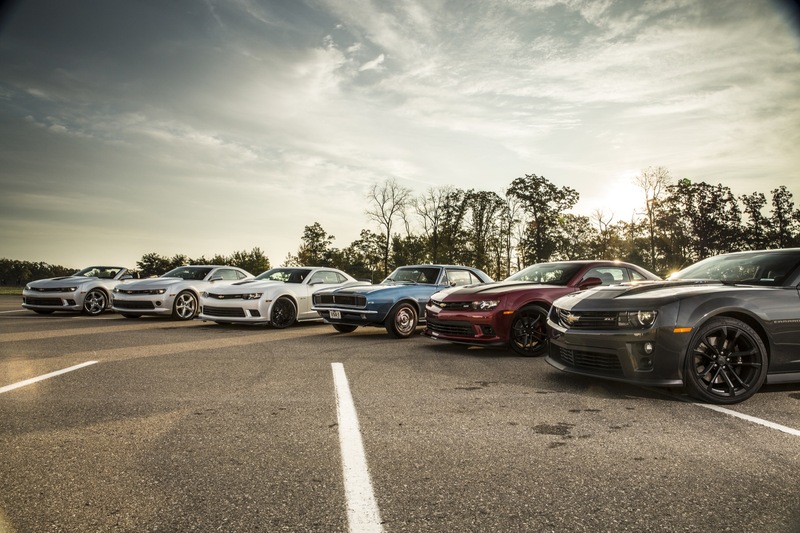 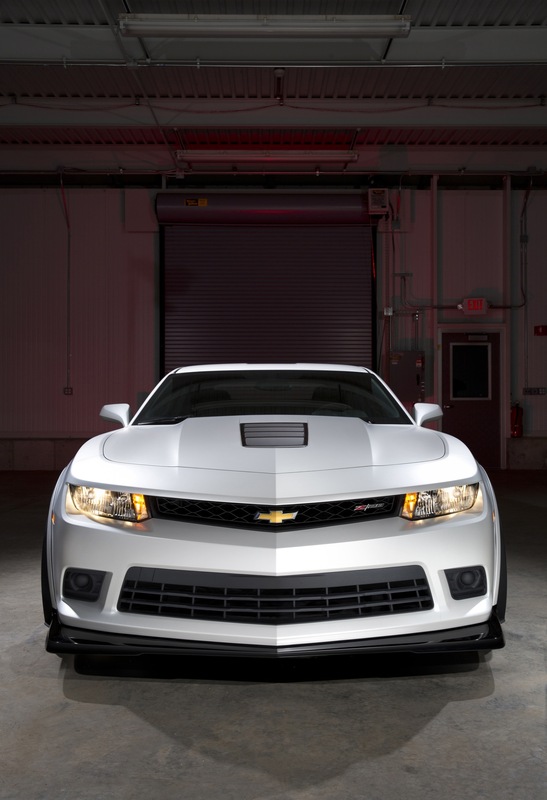 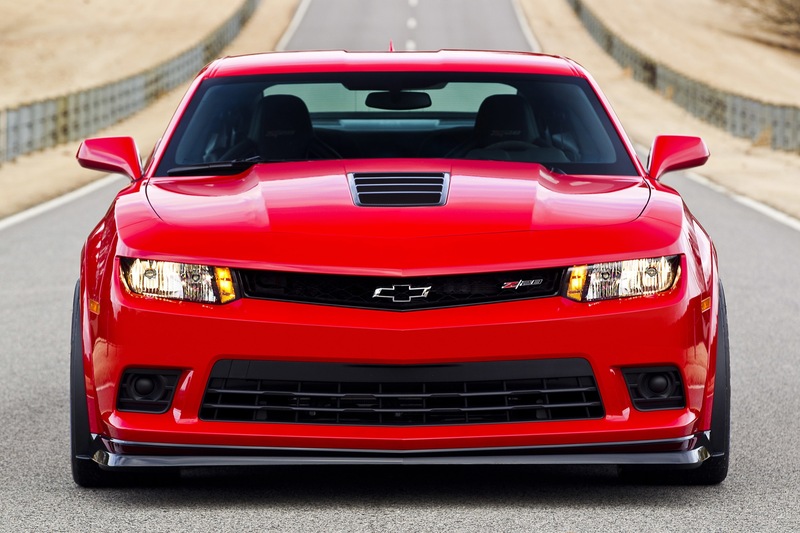 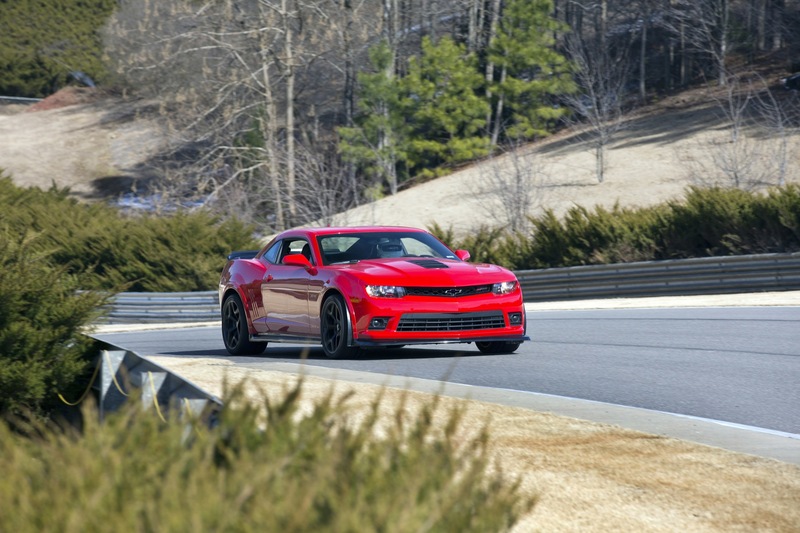 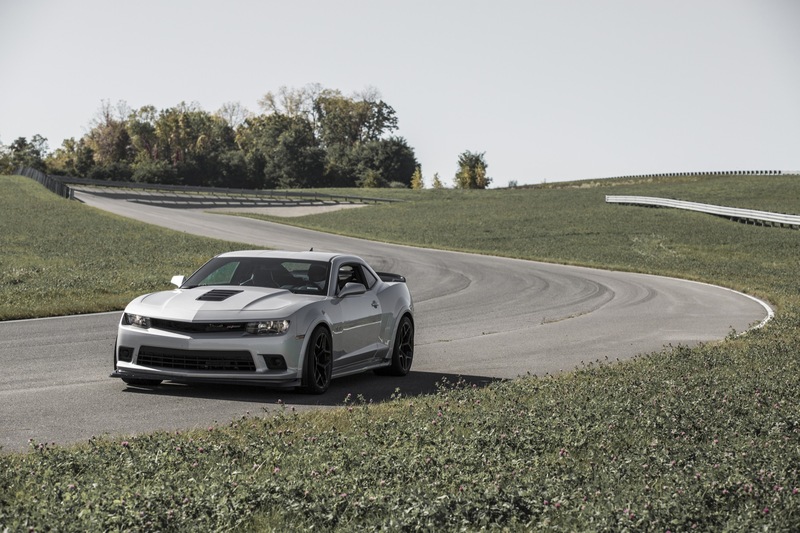 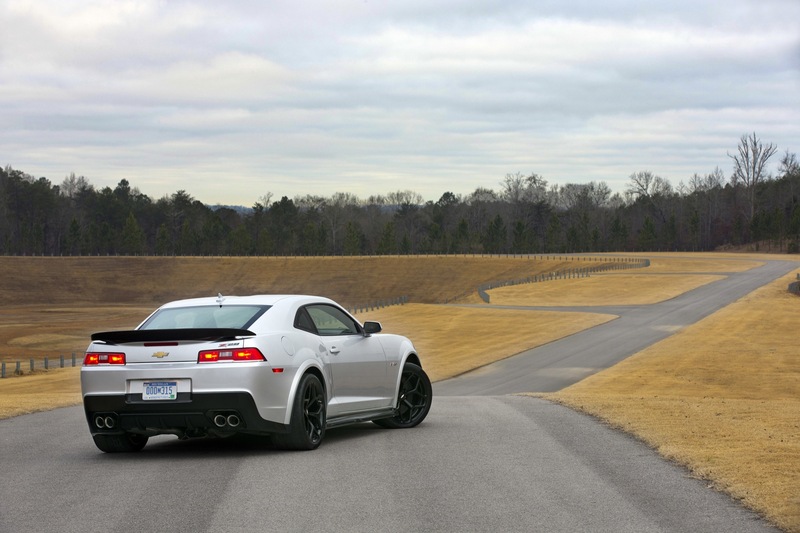 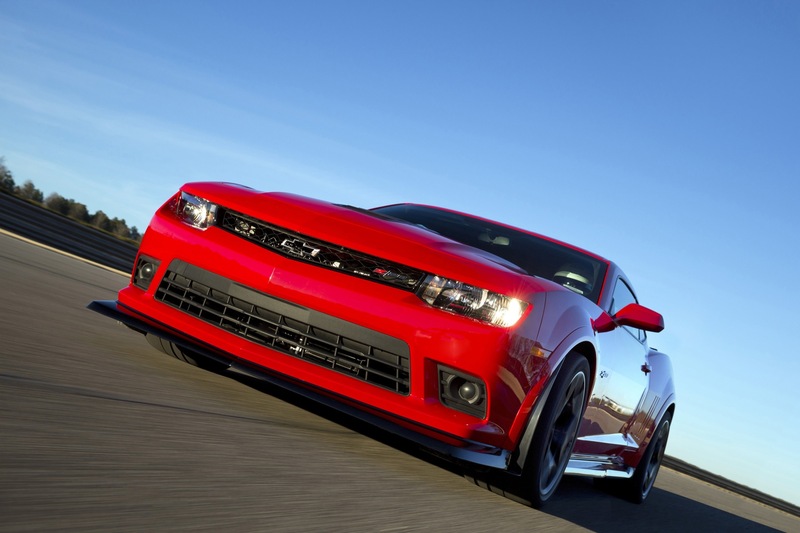 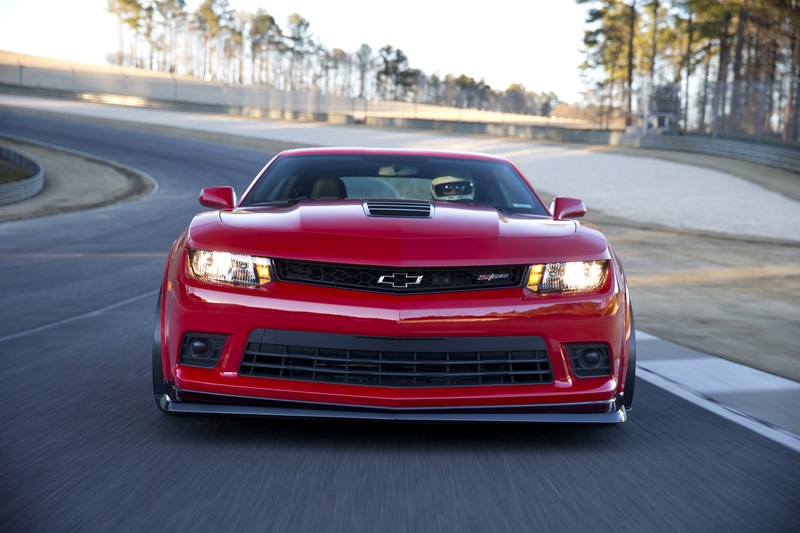 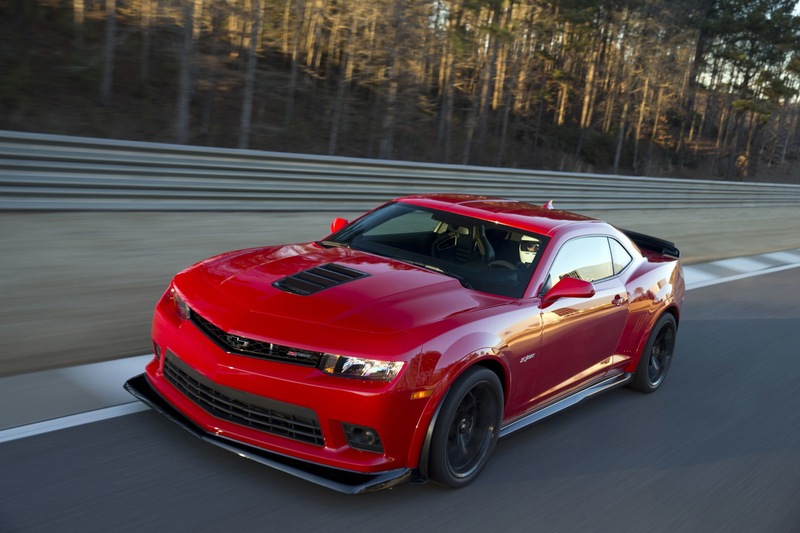 In many track-oriented circles, the 2014 Camaro Z/28 is perhaps the most capable Camaro ever. 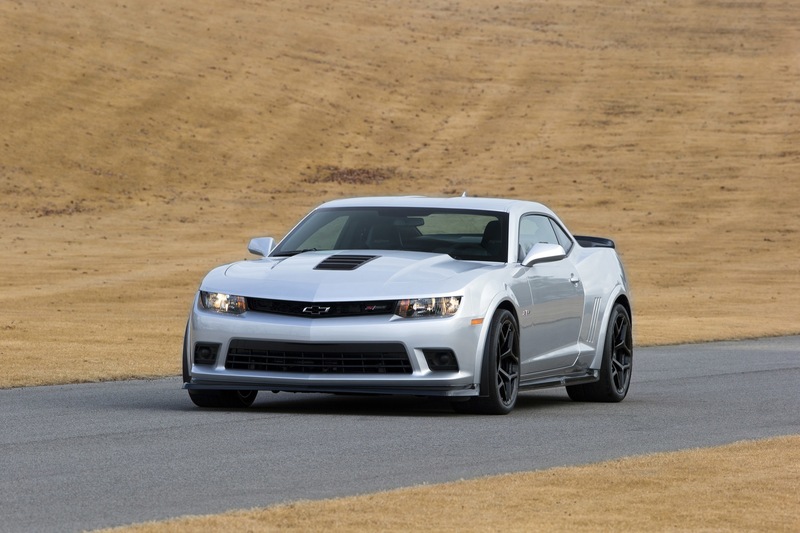 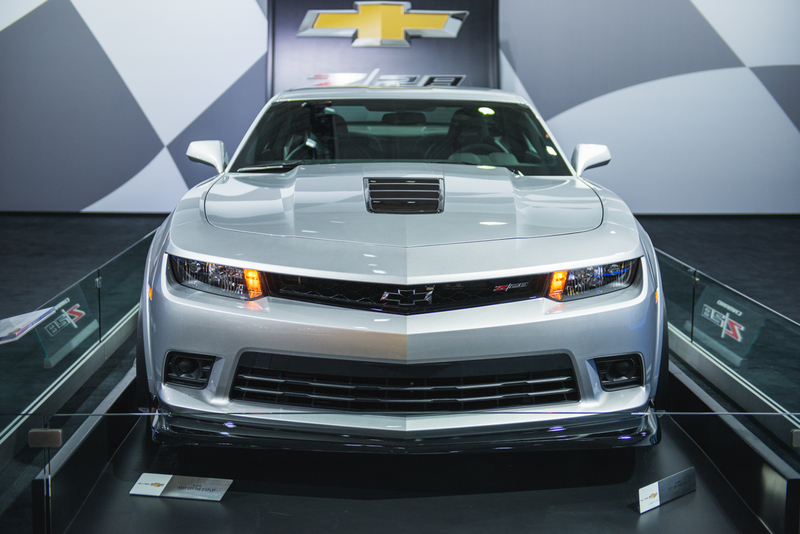 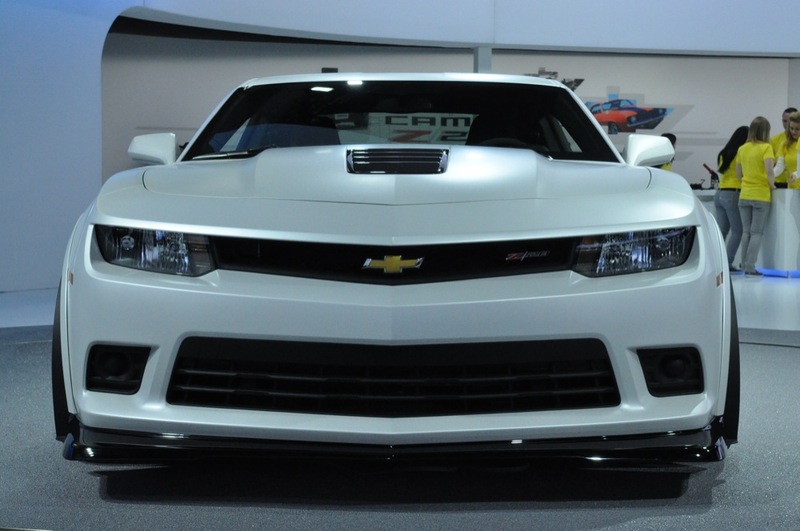 For instance, Chevy claims that the 2014 Camaro Z/28 is an average of three seconds faster per lap than the more powerful ZL1. 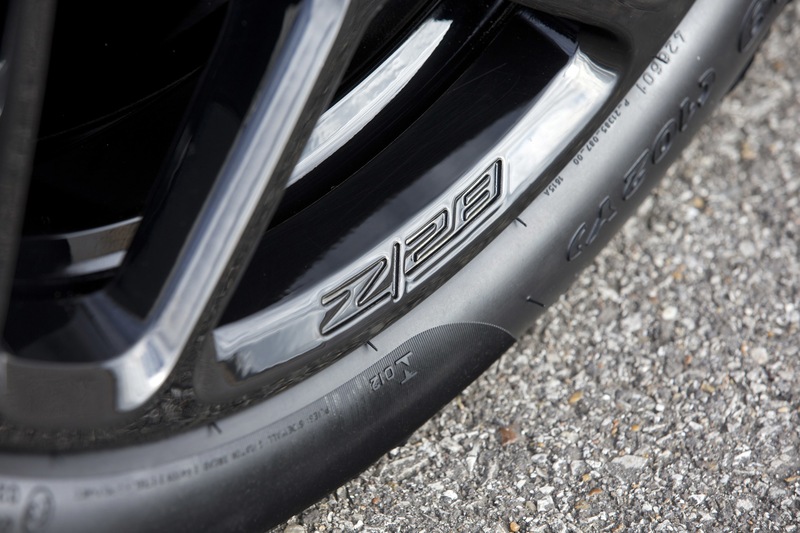 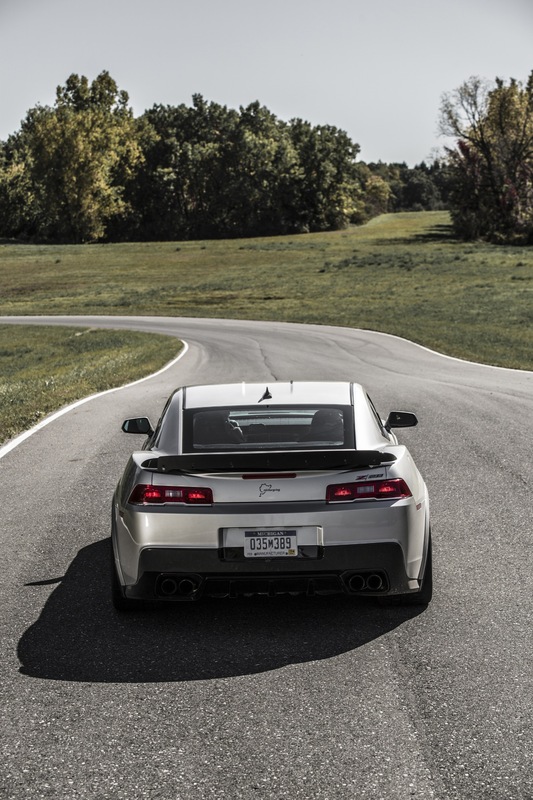 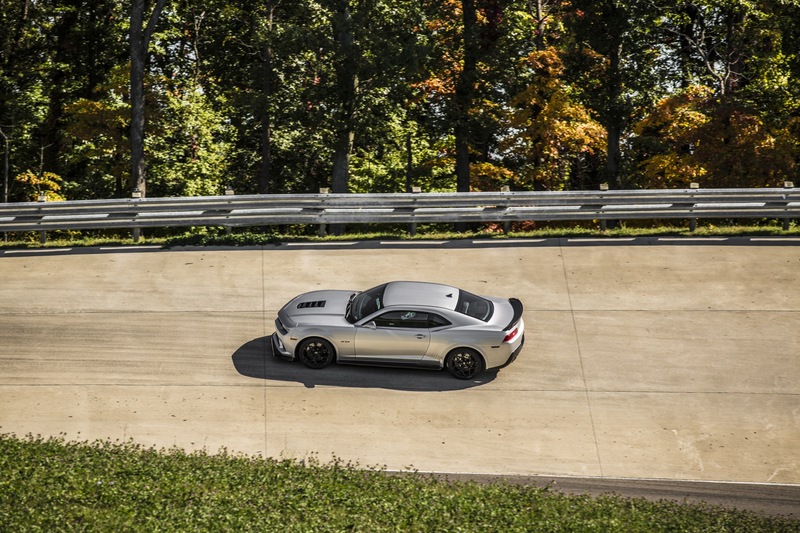 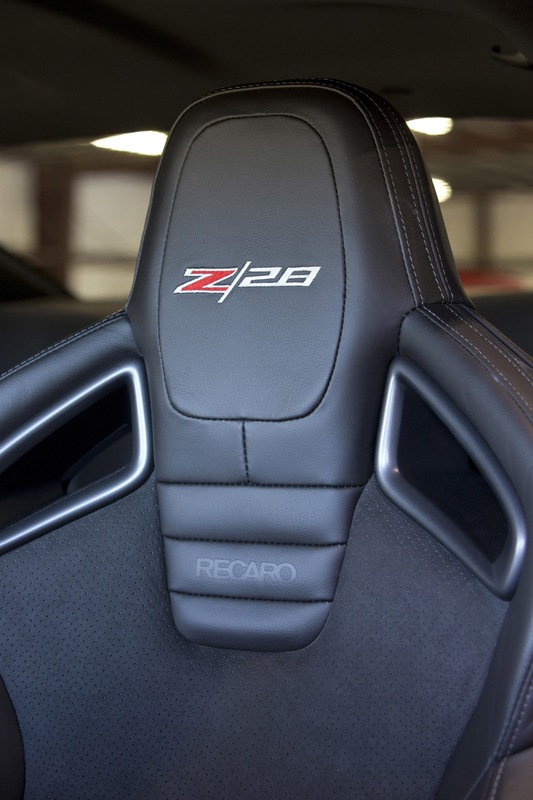 This is thanks to chassis revisions, such as a unique suspension and huge Pirelli PZero Trofeo R tires that measure 305 in every corner, that allow the Z/28 to grip at up to 1.05 lateral G forces. 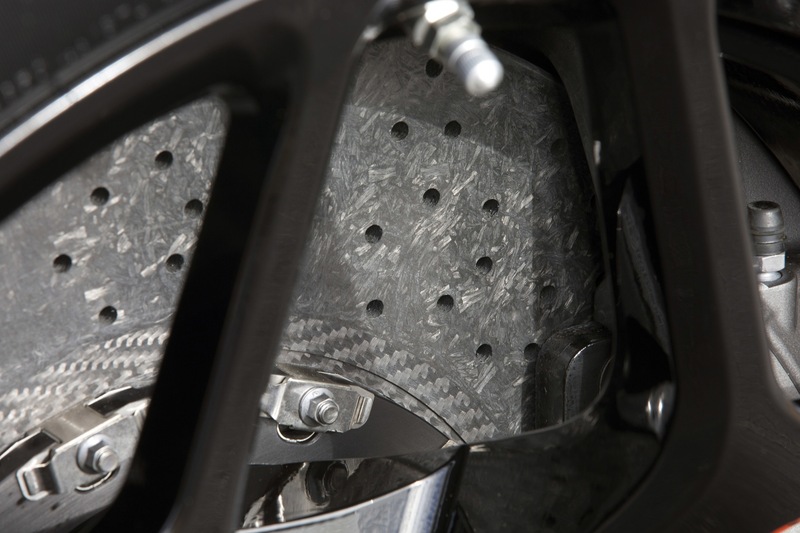 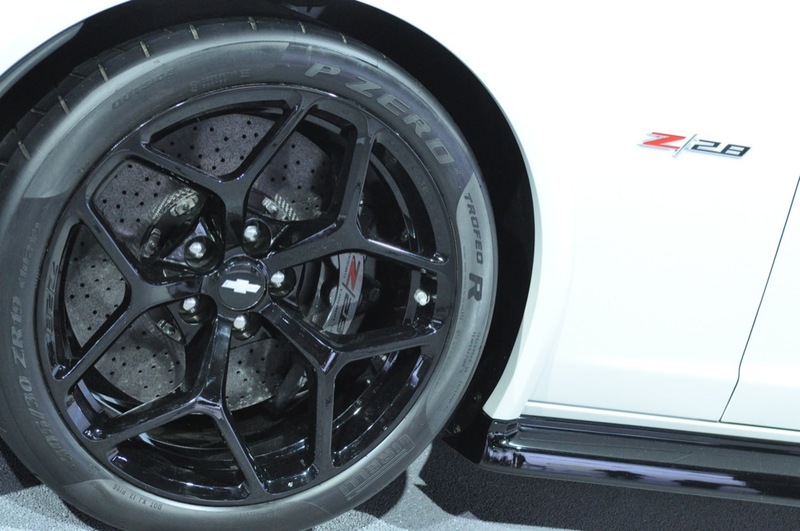 Then there’s the Brembo brakes, which provide 1.5G of stopping force. 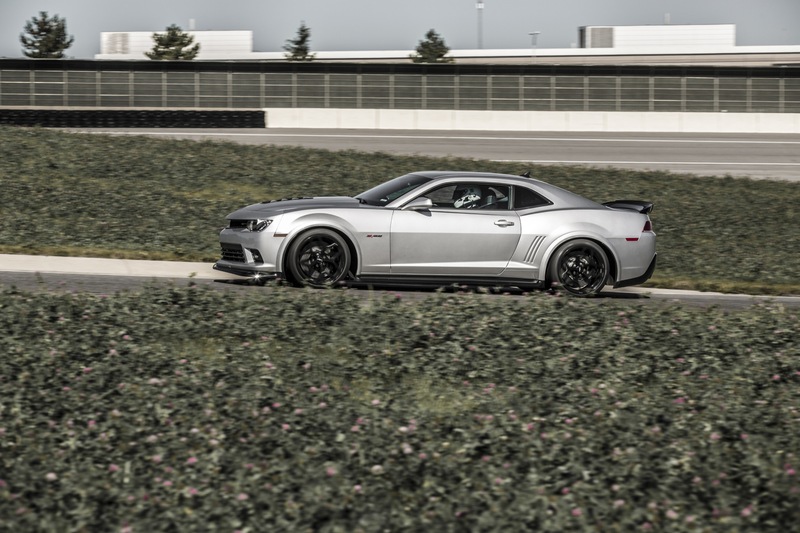 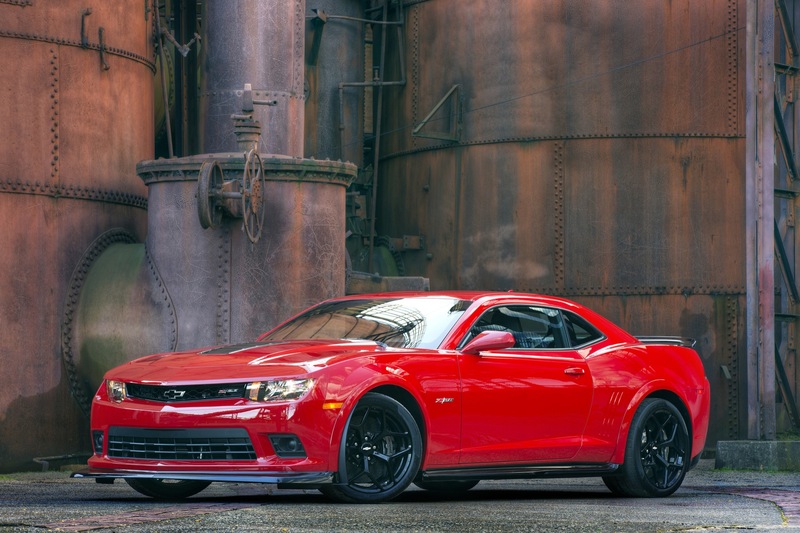 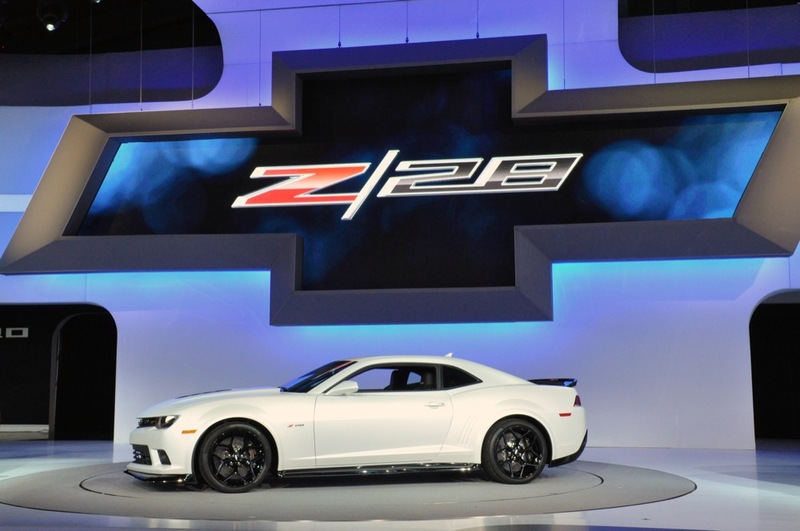 And last, but certainly not least, is the fact that the Z/28 is 300 pounds lighter than the mighty ZL1, thanks to several incremental tweaks, ranging from thinner rear window glass, to lighter wheels. 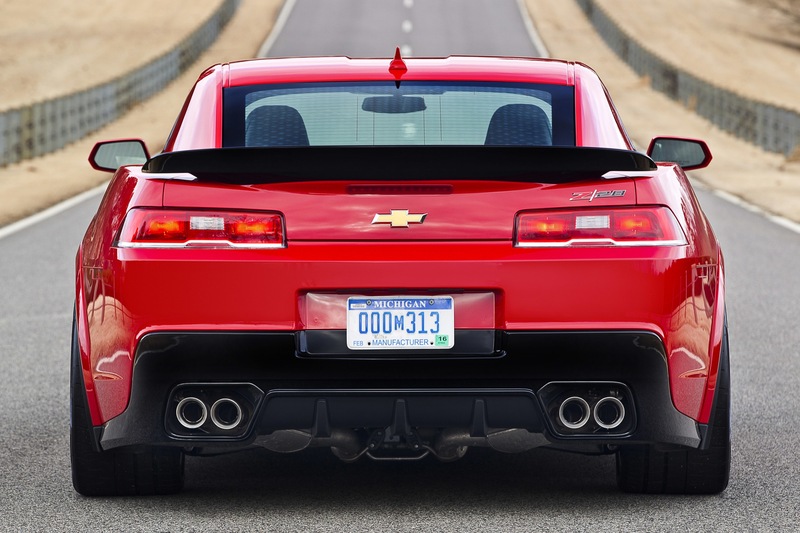 Even the carpet and tire inflator kit was ripped out of the trunk, along with all the speakers in the cabin, save for one in order to hear the door and seatbelt chimes. 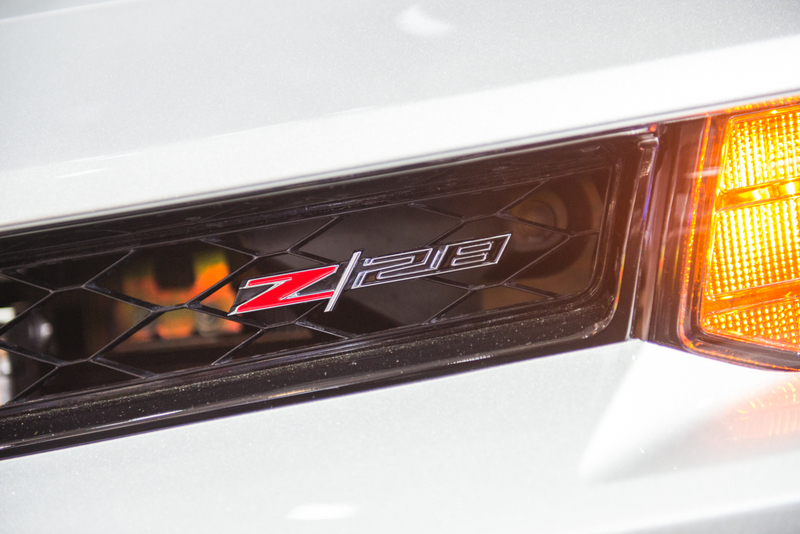 To really hit it home as to how hard-core the Z/28 is, the air conditioning is not standard, and comes as the vehicle’s only option. 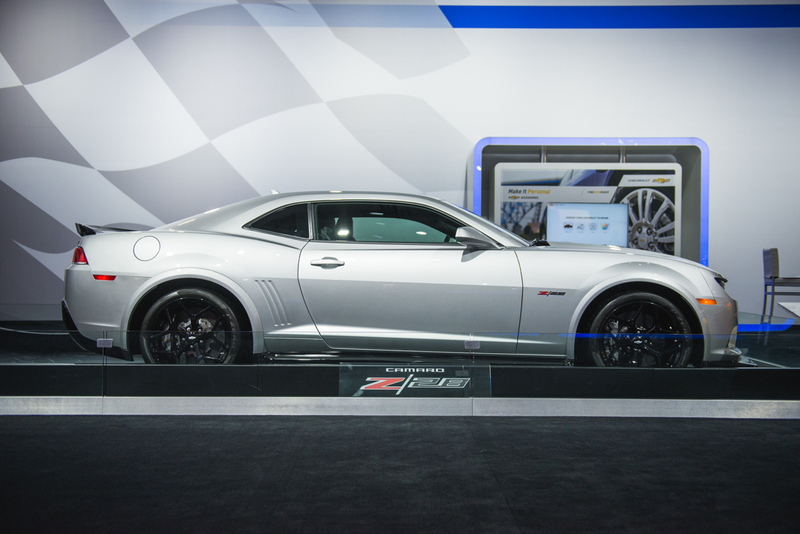 Yet the Z/28 still managed to keep its second row of seats, though we pity the sorry souls that find themselves in the second row of this track beast. 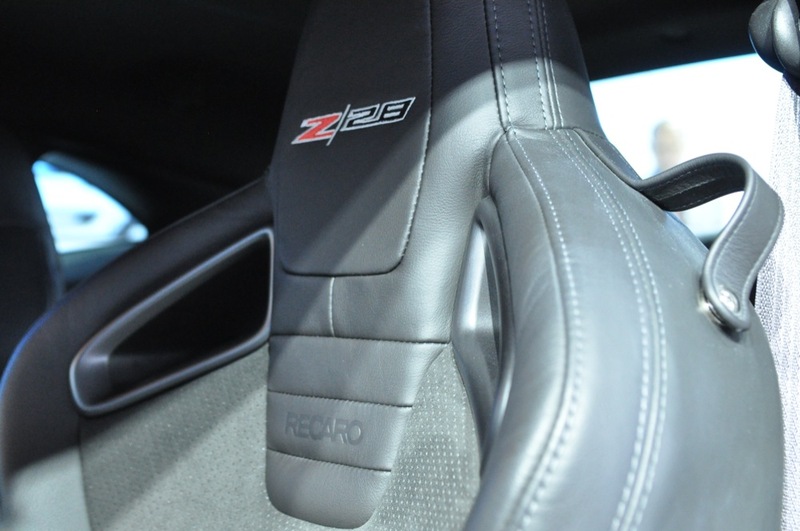 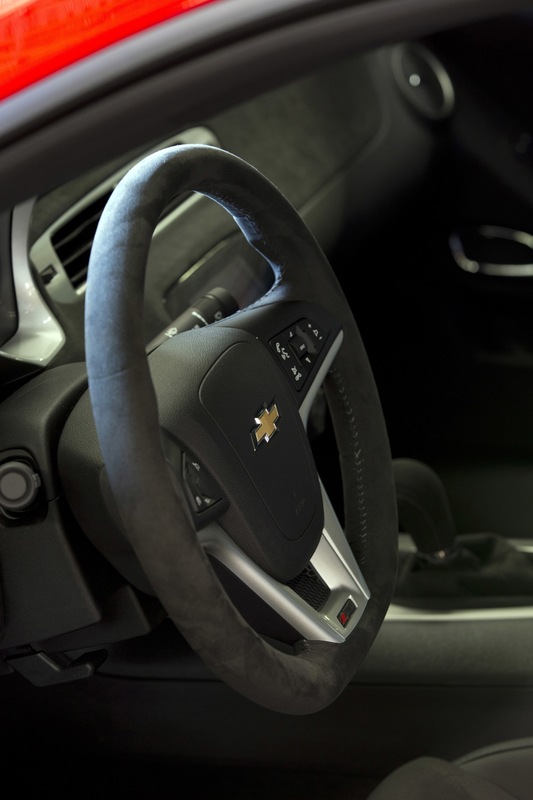 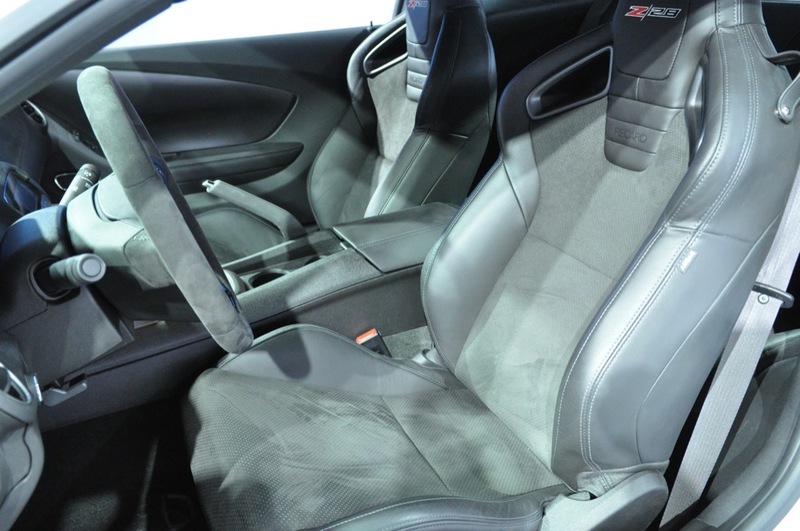 Inside, the Z/28 is treated with manually adjustable Recaro racing seats, a flat-bottom steering wheel, and seat cutouts that seem ready for five-point harnesses. 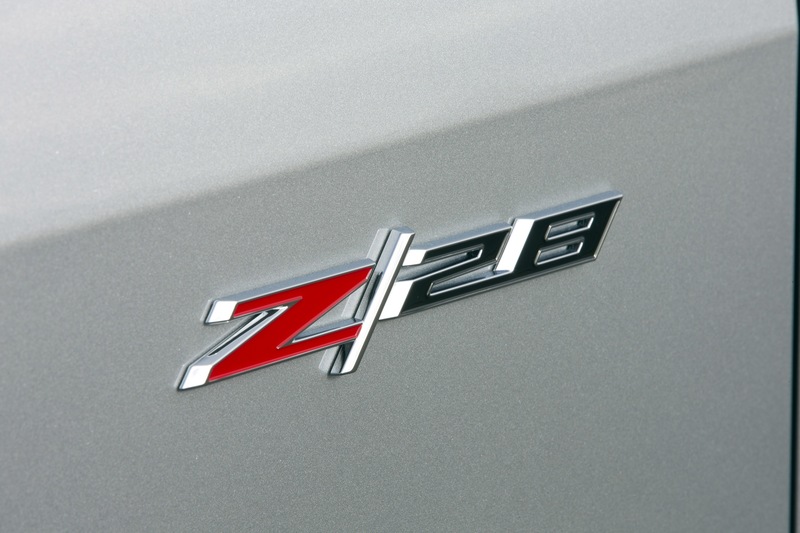 GM Authority was the first to report that General Motors was on track to bring back the Z/28, all the way back to when the company re-applied for the trademark of the name. 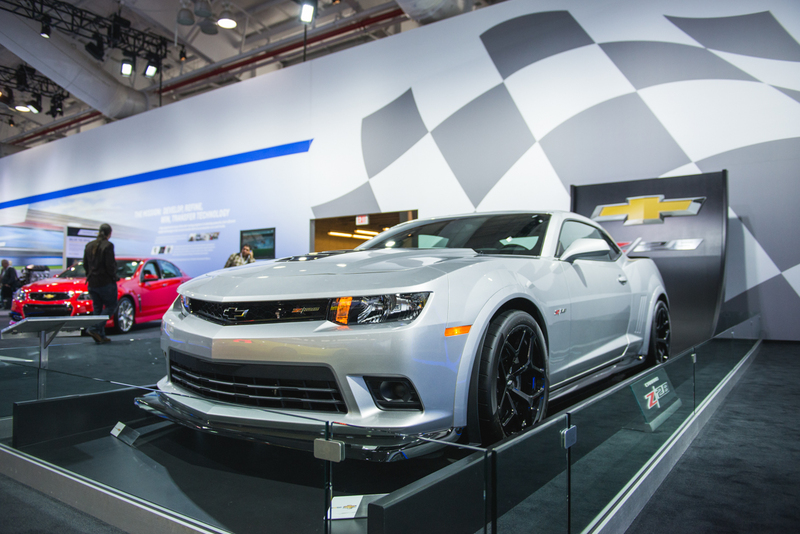 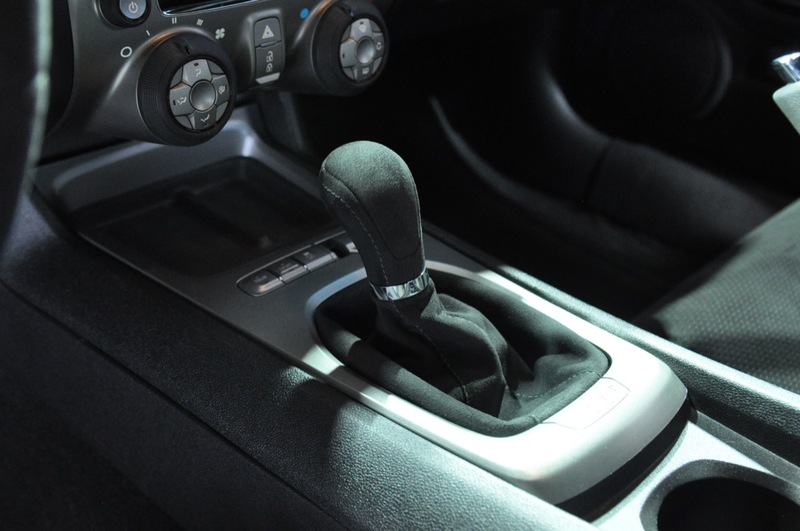 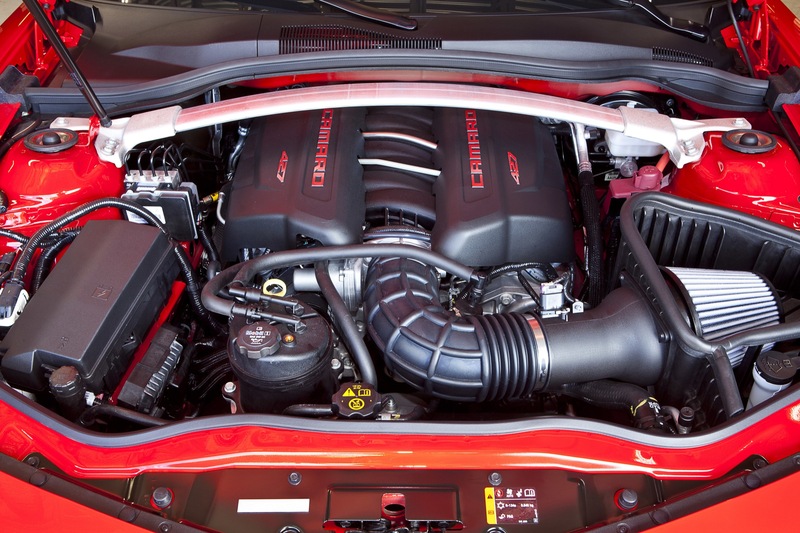 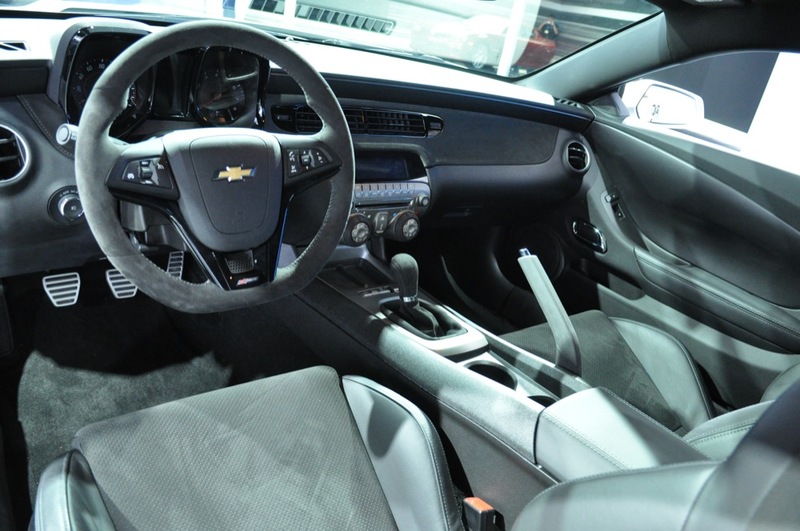 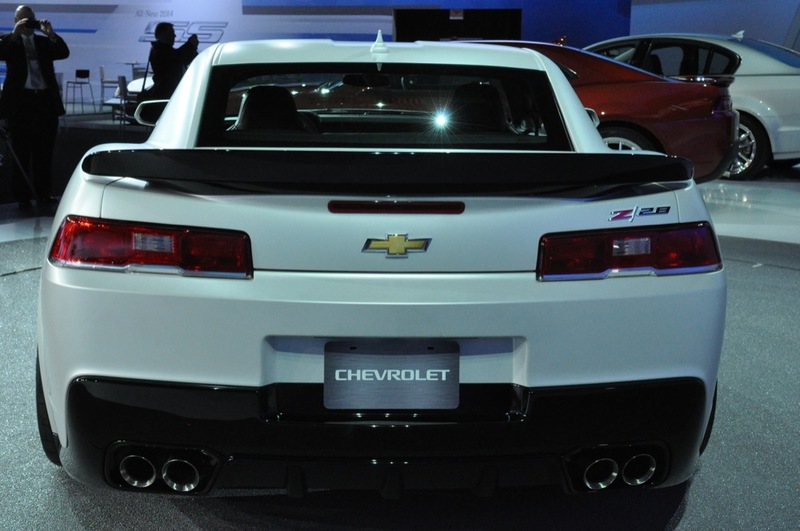 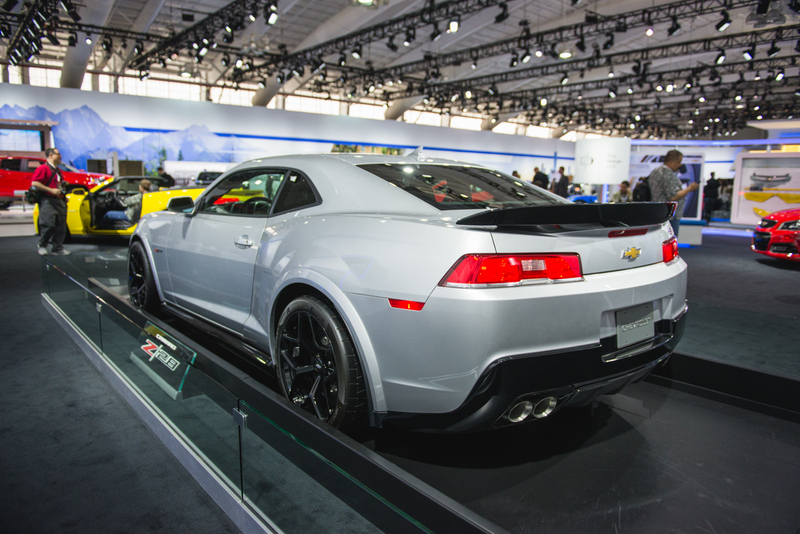 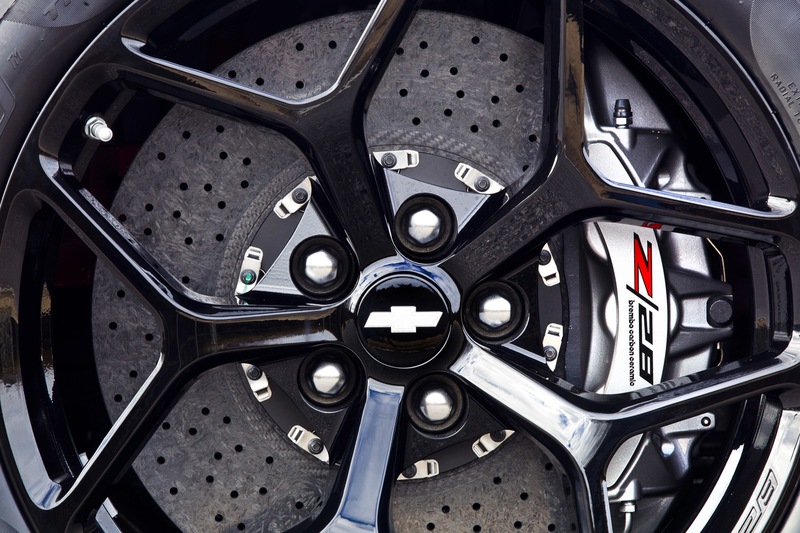 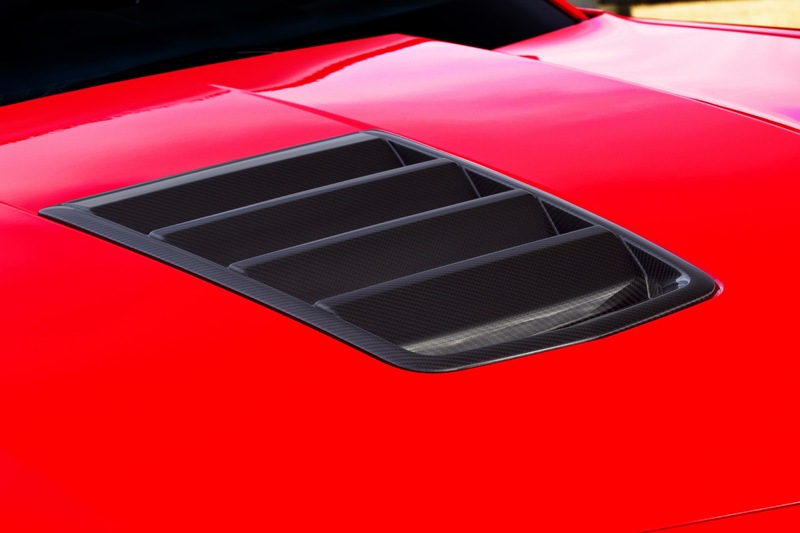 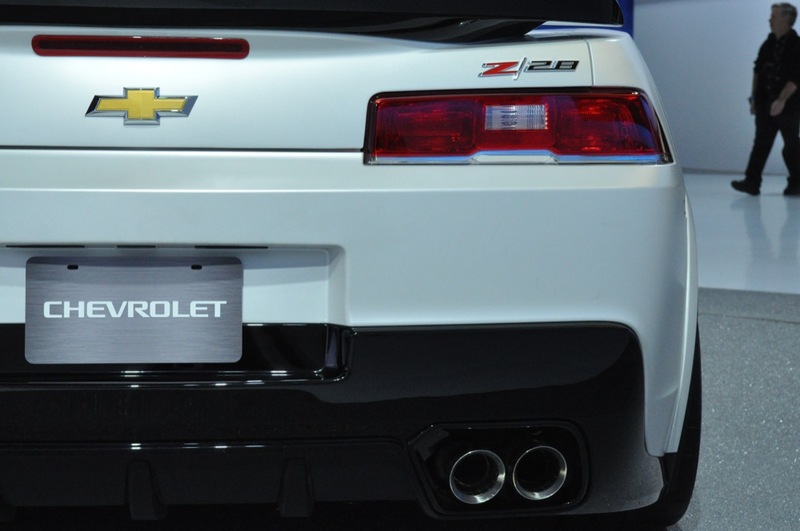 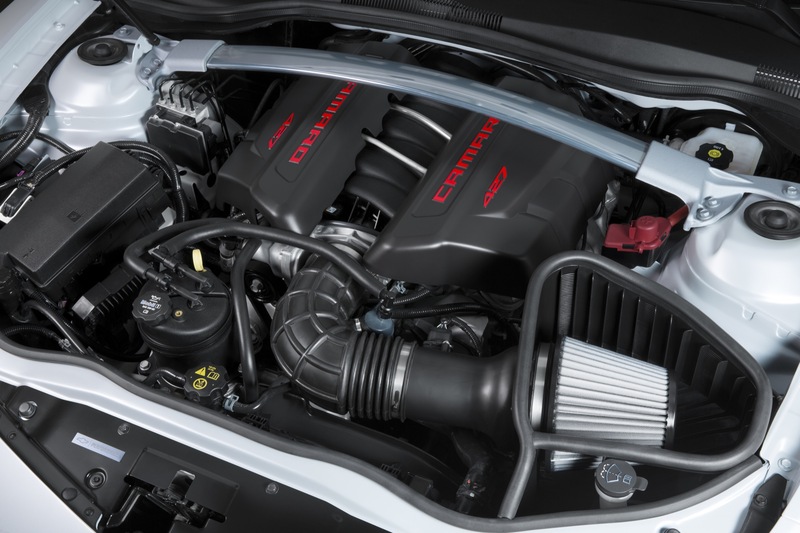 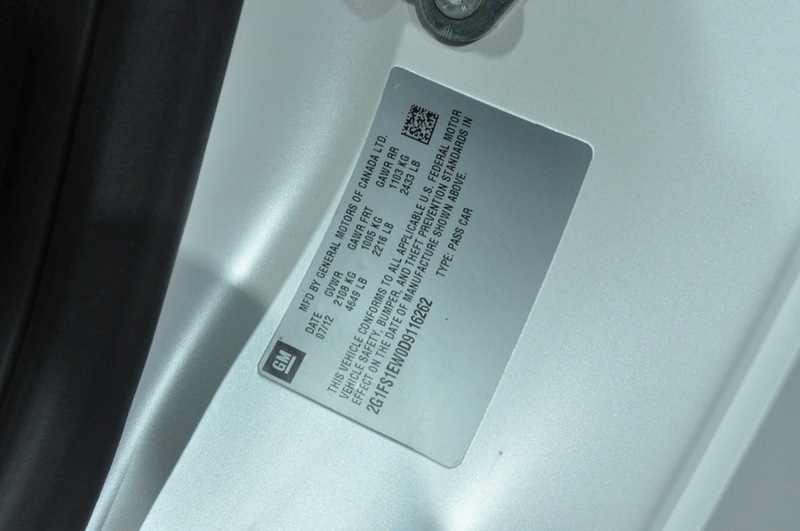 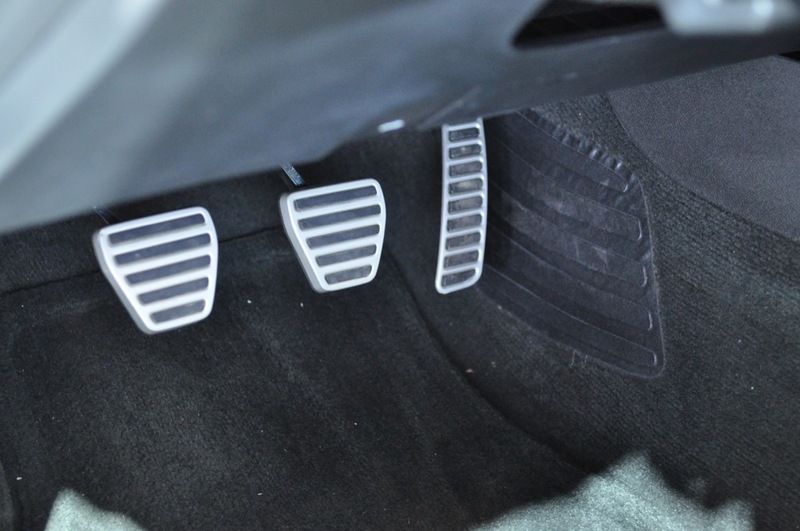 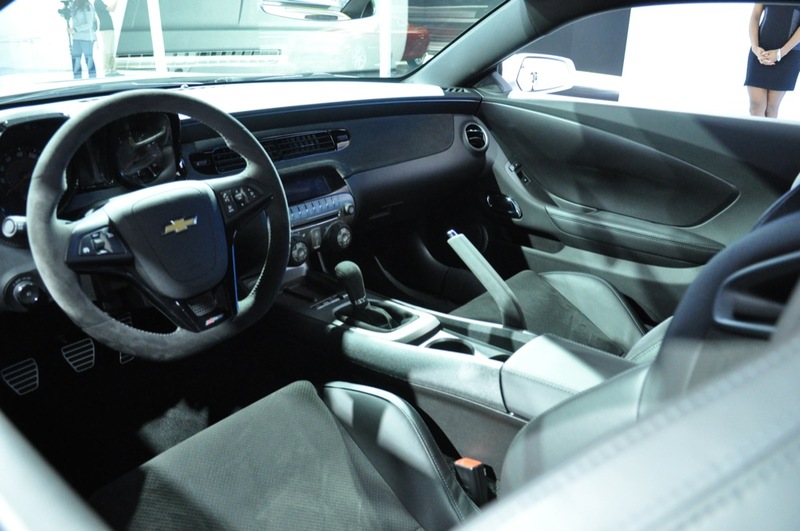 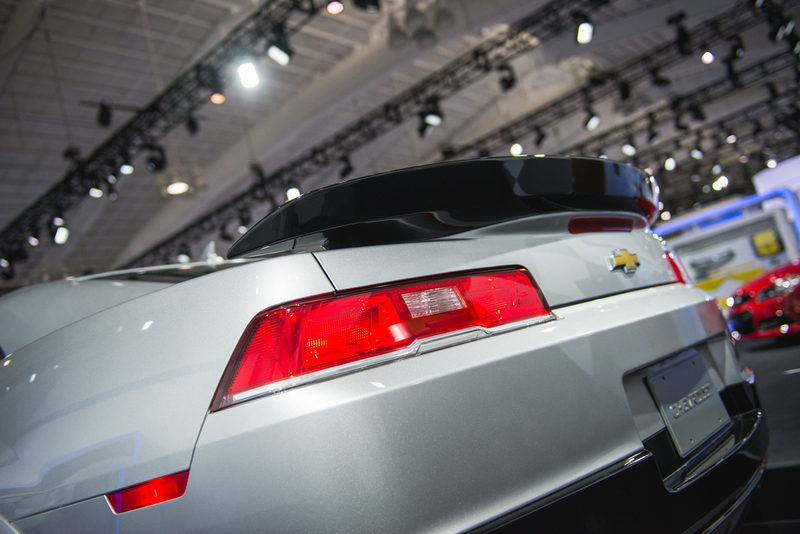 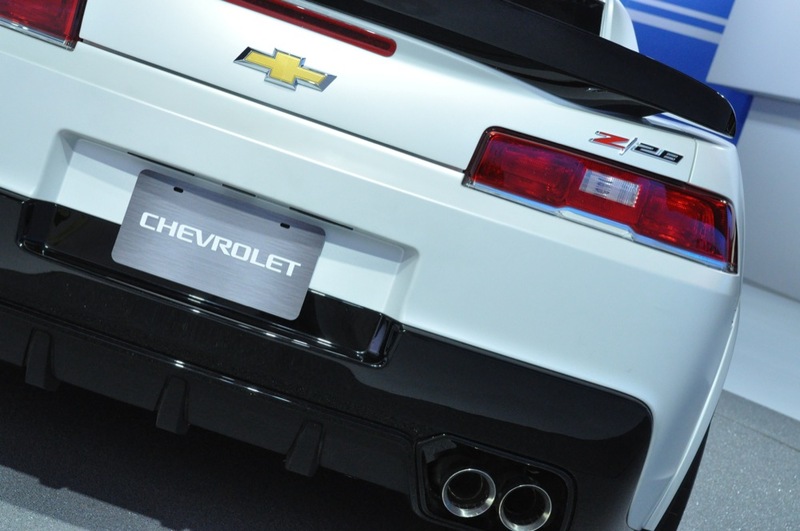 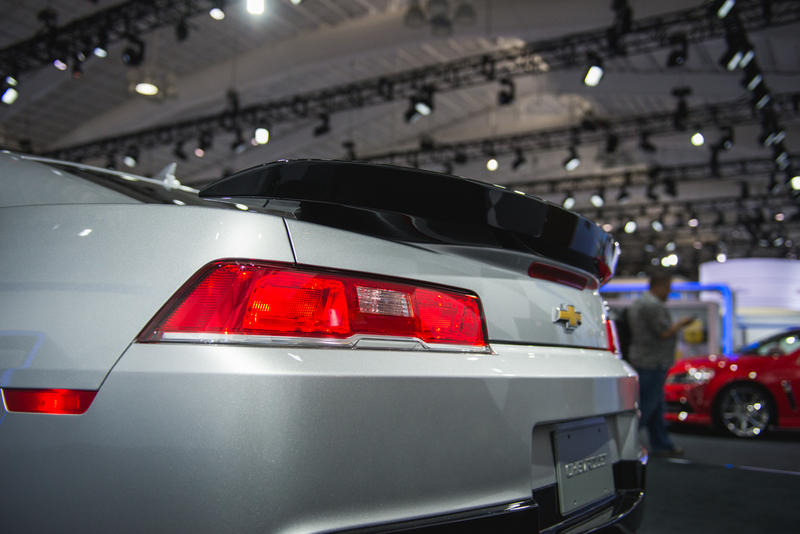 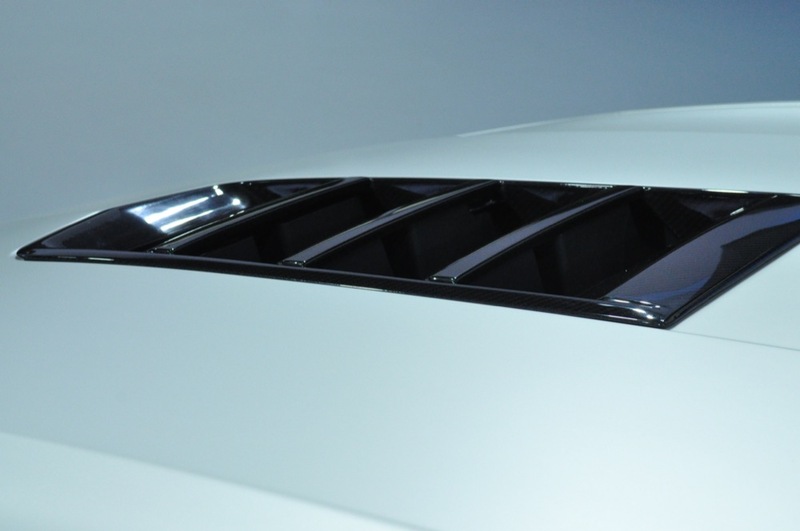 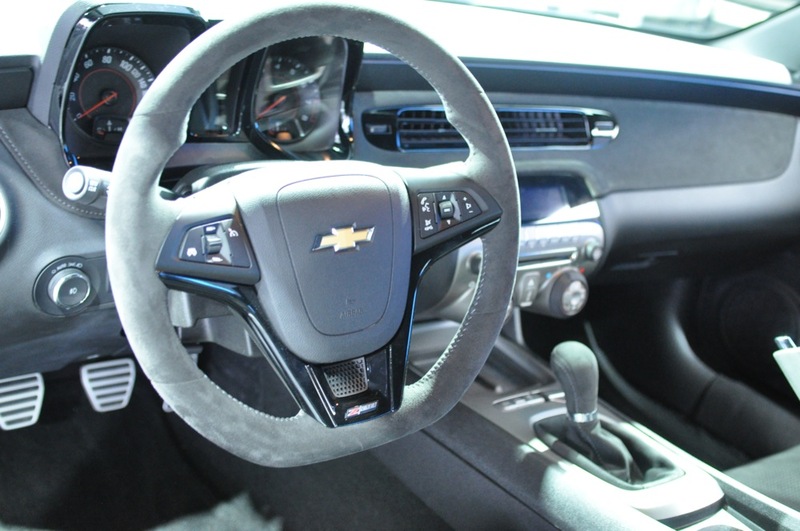 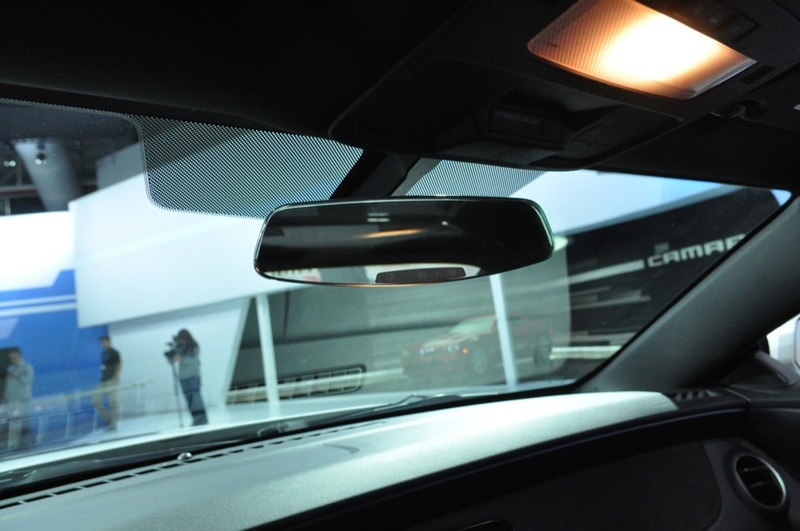 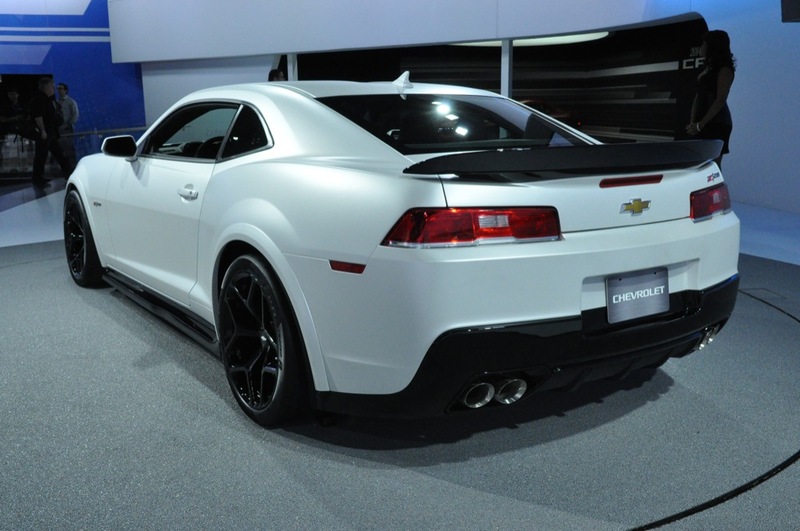 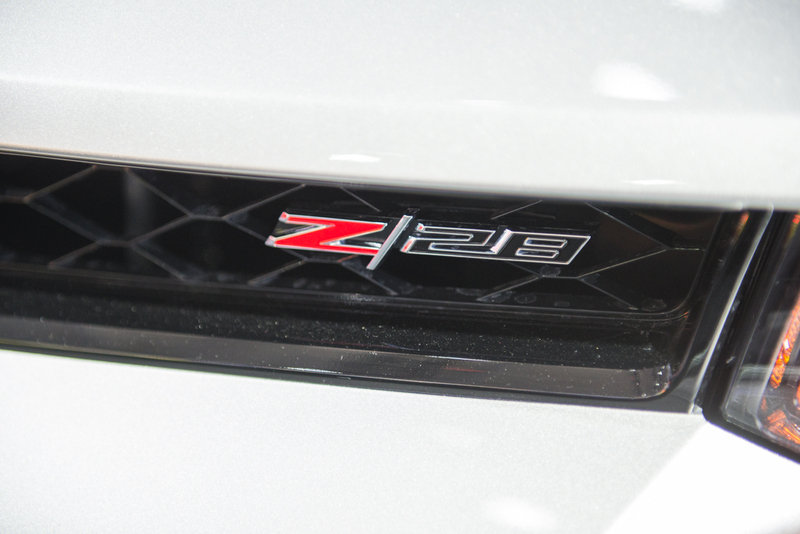 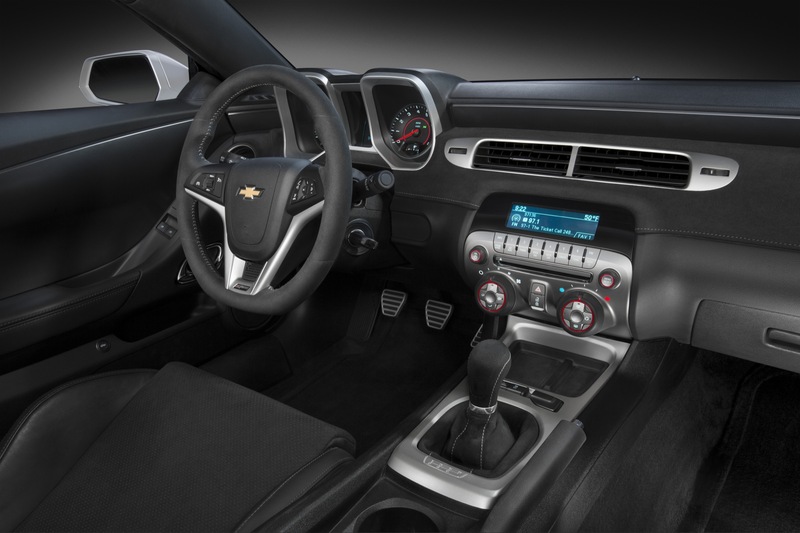 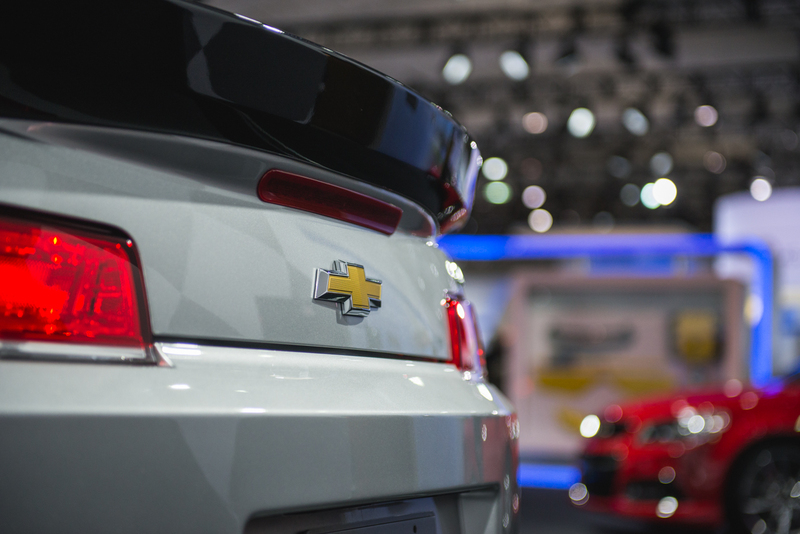 Evidence began to mount when a VIN card leaked out, listing an LS7 engine for the 2014 model-year Camaro, and again when the Z/28 name appeared on a part fitted to the ZL1 Camaro. 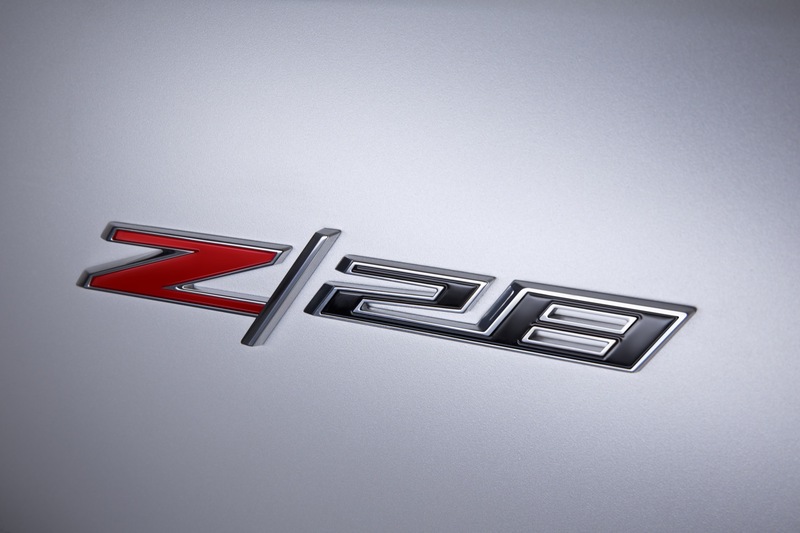 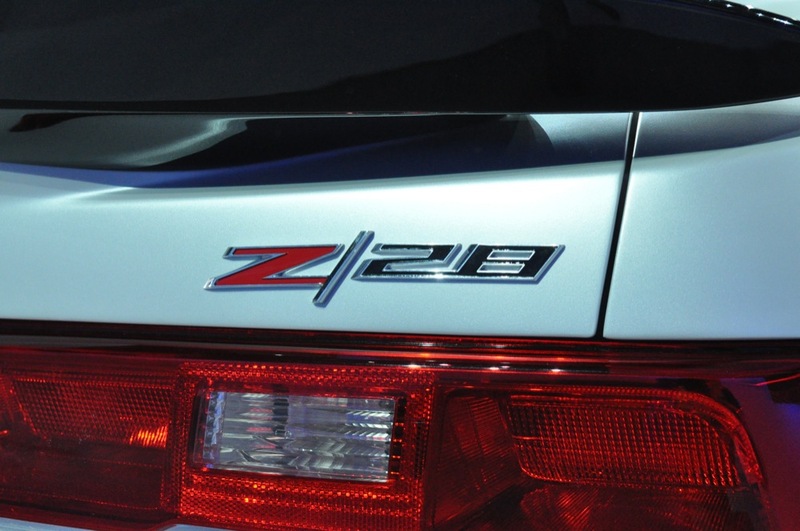 Those with sharper memories may recall that rumors of the Z/28 began swirling as far back as 2011. 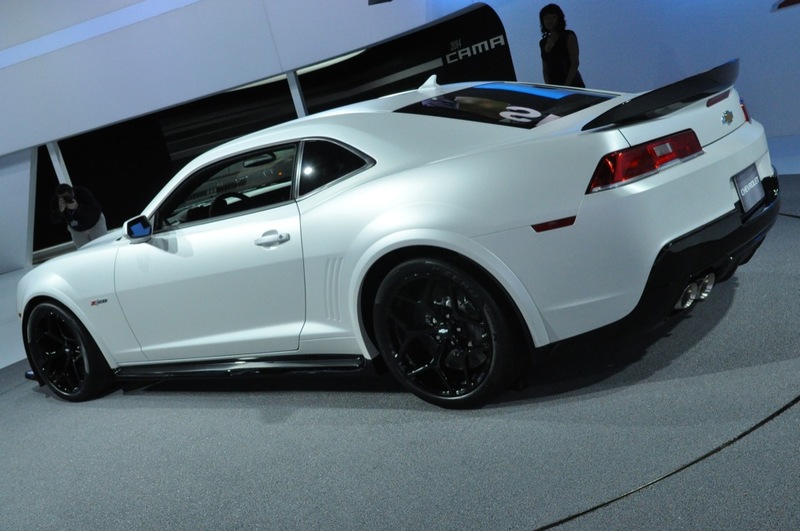 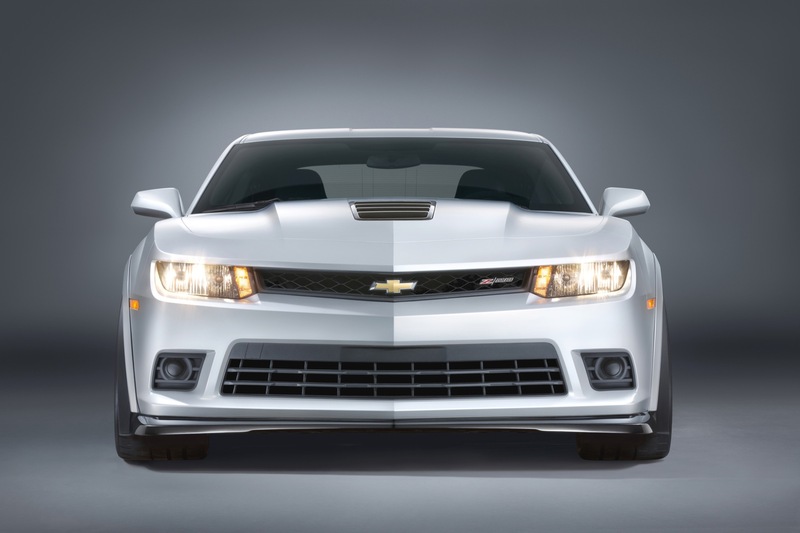 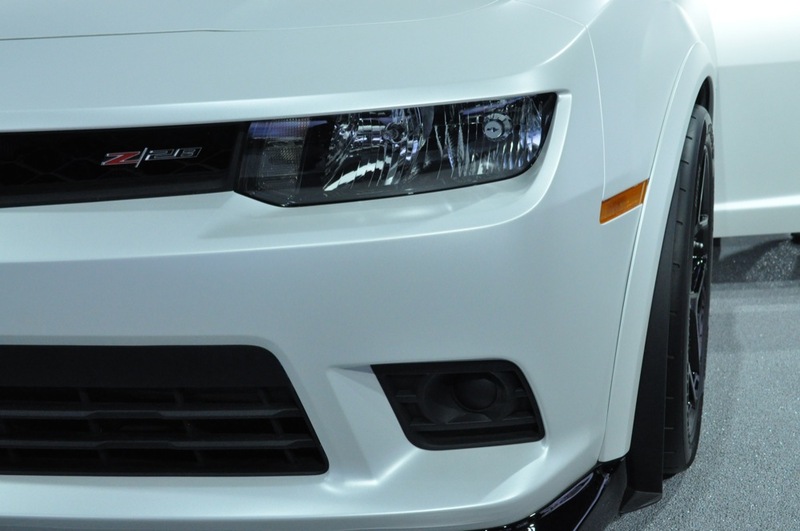 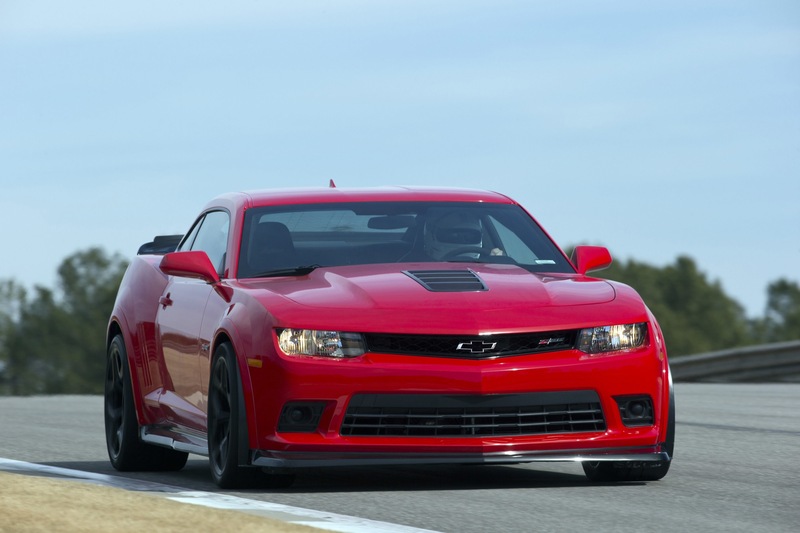 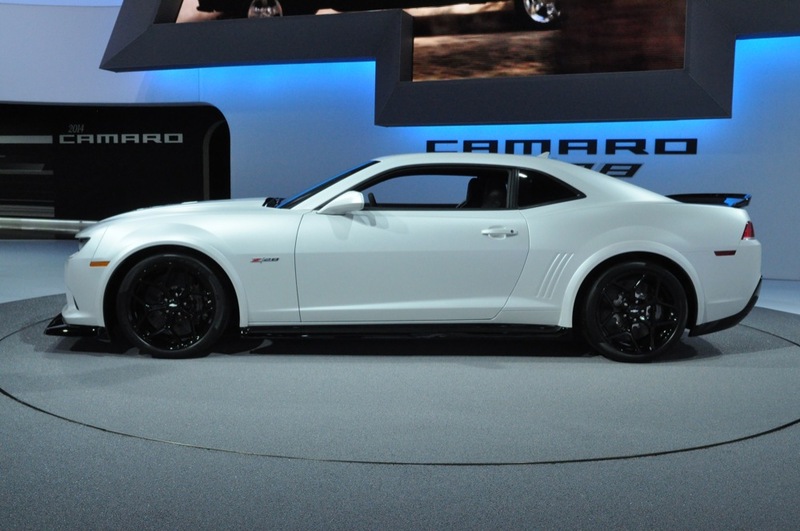 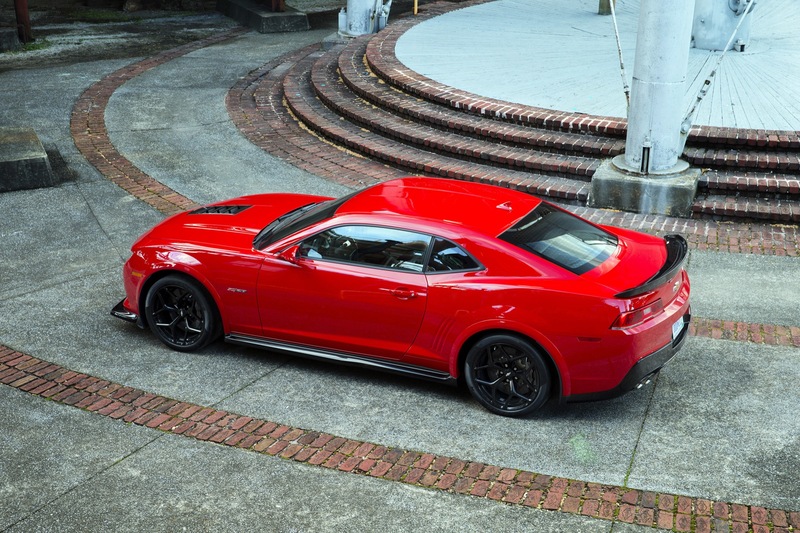 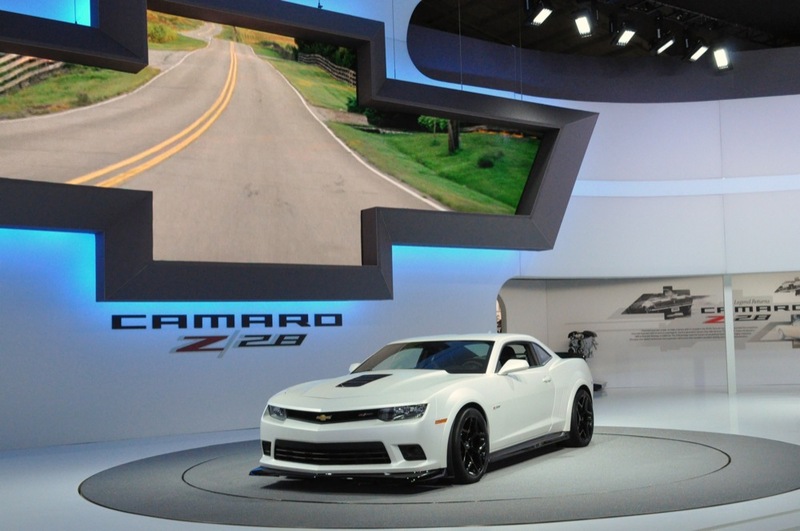 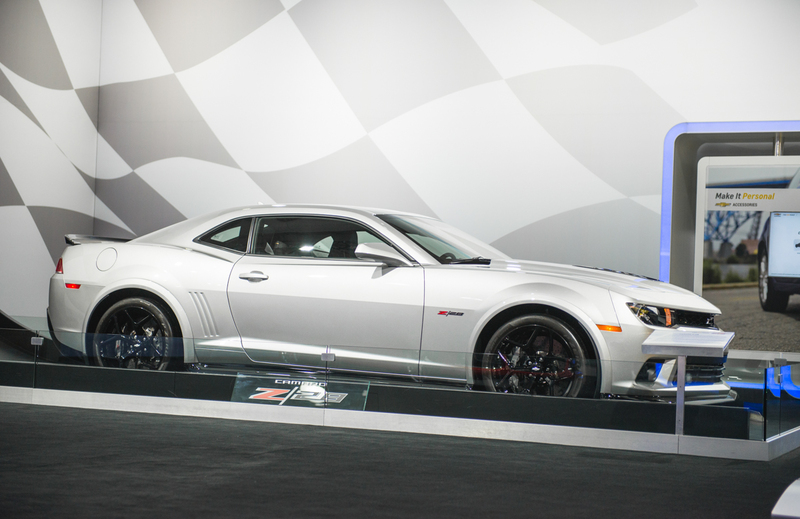 Update: check out the full 2014 Camaro Z/28 specifications. 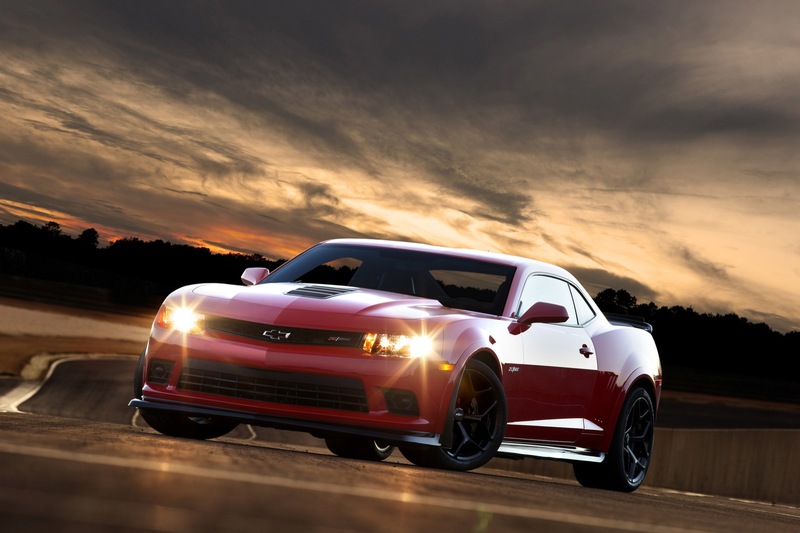 Next story 2014 Camaro Z/28: Hot Or Not? 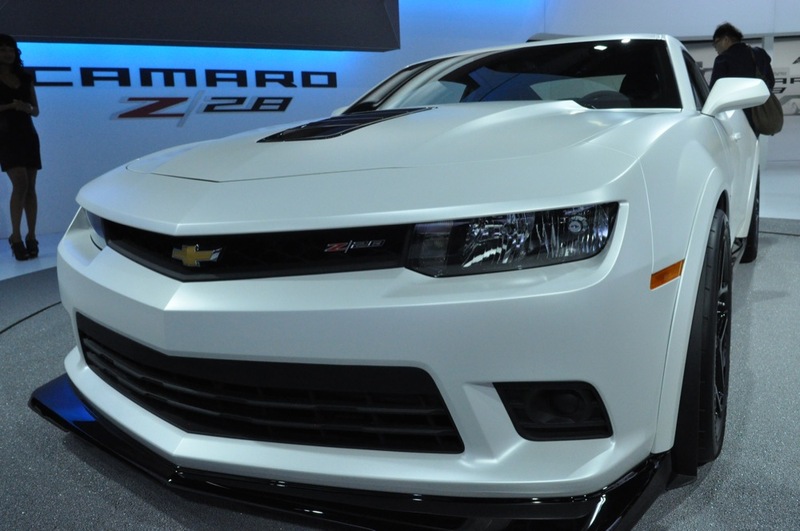 Would it kill GM to build the car in this country ? 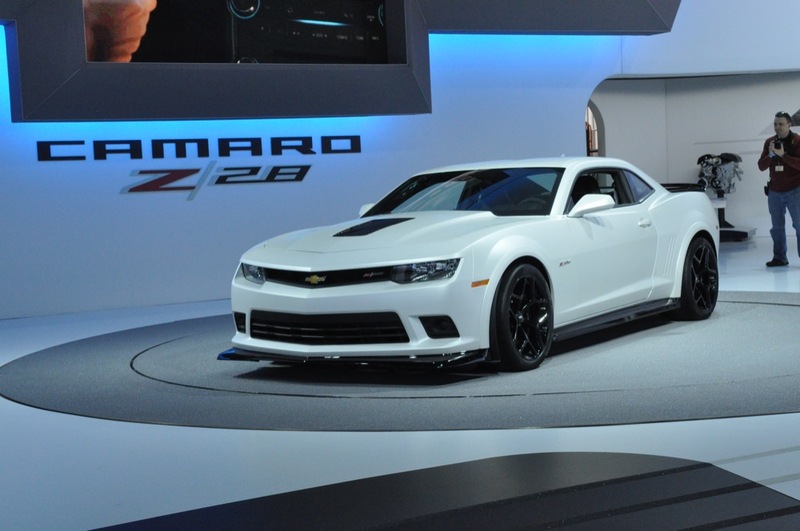 I am all for buying American products but we are talking Canada here. 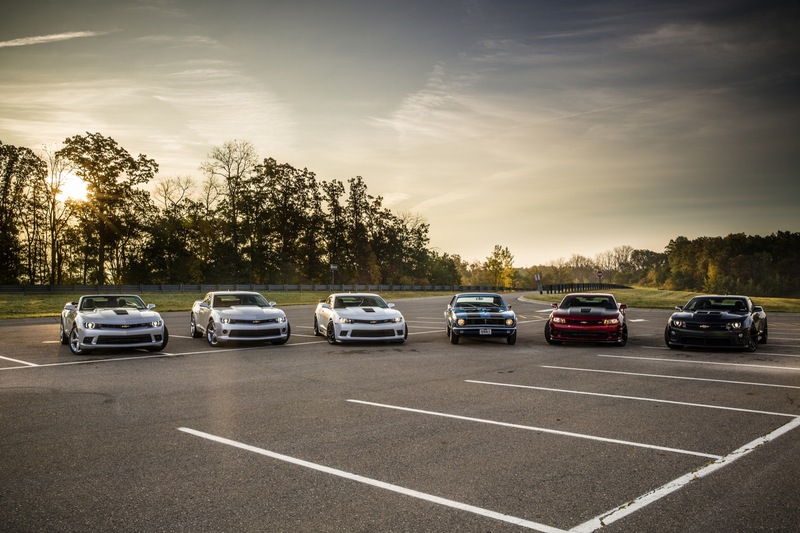 We have built vehicles there since 1918. 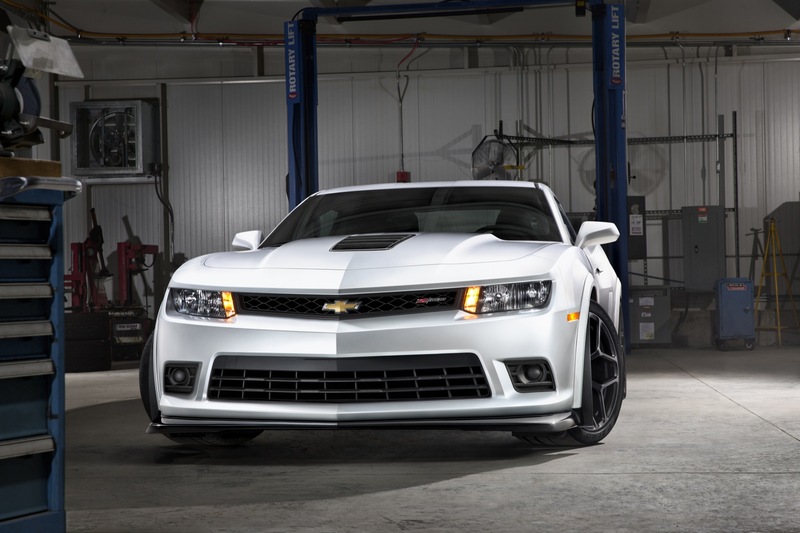 Not only do we build them there but we also sell them there. 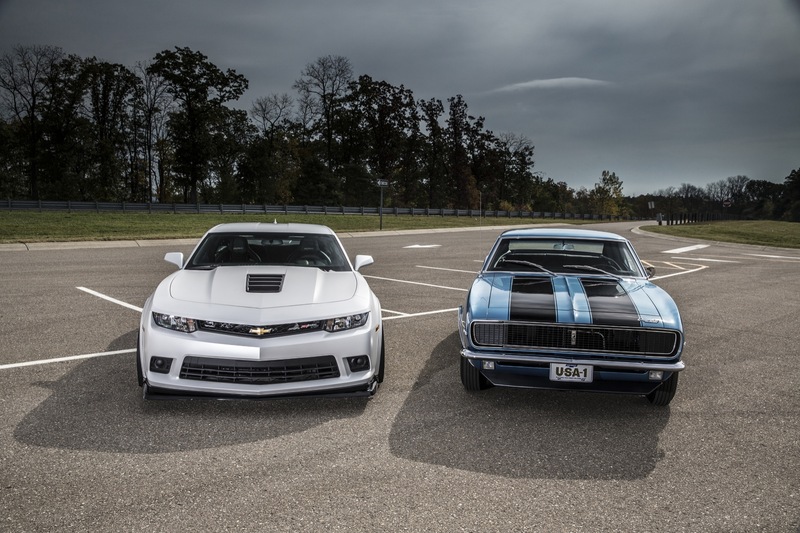 They have been a fair trading partner forever. 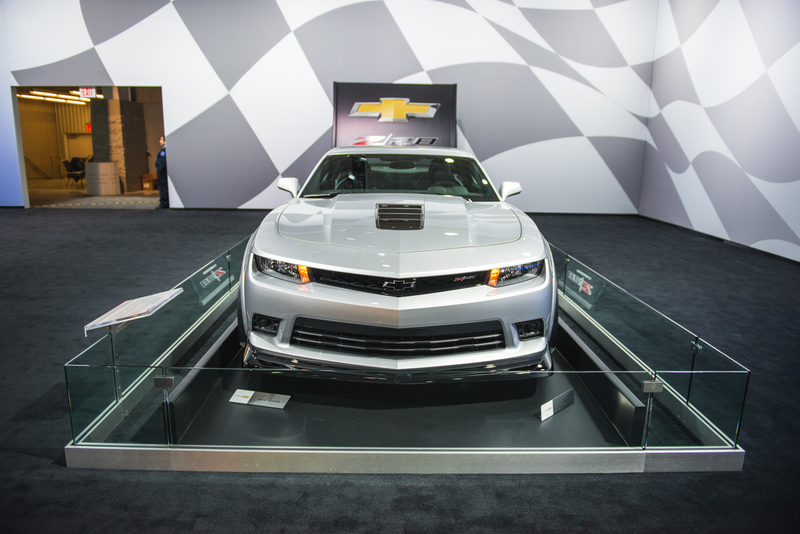 And in the end you do know the 2015 will be built in Michigan? 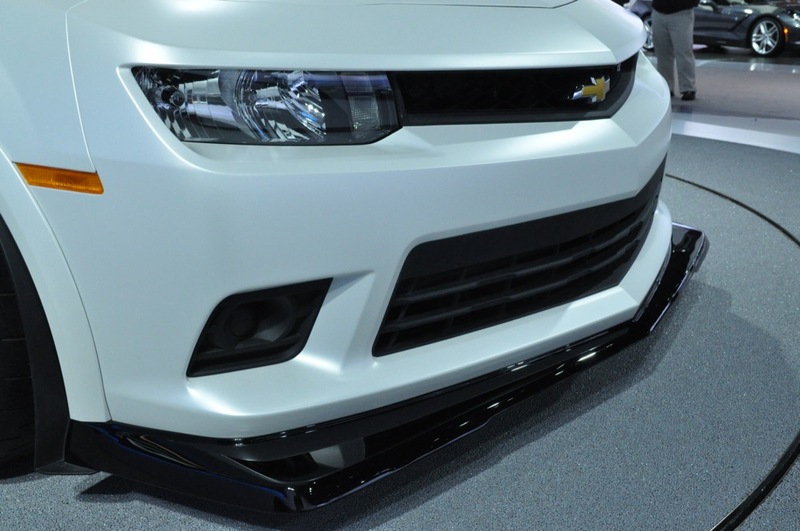 I like the new front view much better, myself, mostly for the lower/wider look, but, especially, that they got rid of the little 1961 Ford Falcon “vent” above the grill. 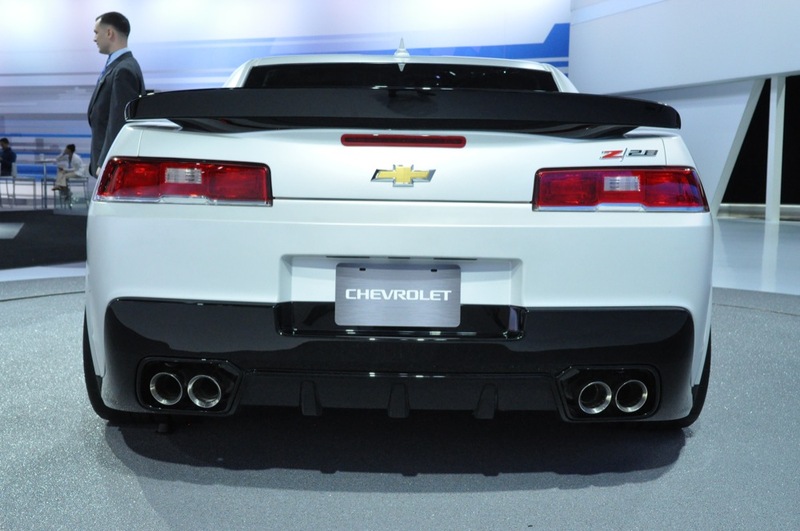 On the other hand, I dislike the tail light design change–at first I thought they were doing “retro” to 1978, but I think what really happened is there was an over-supply of obsolete Buick “Lucerne” taillamp assemblies in the system. 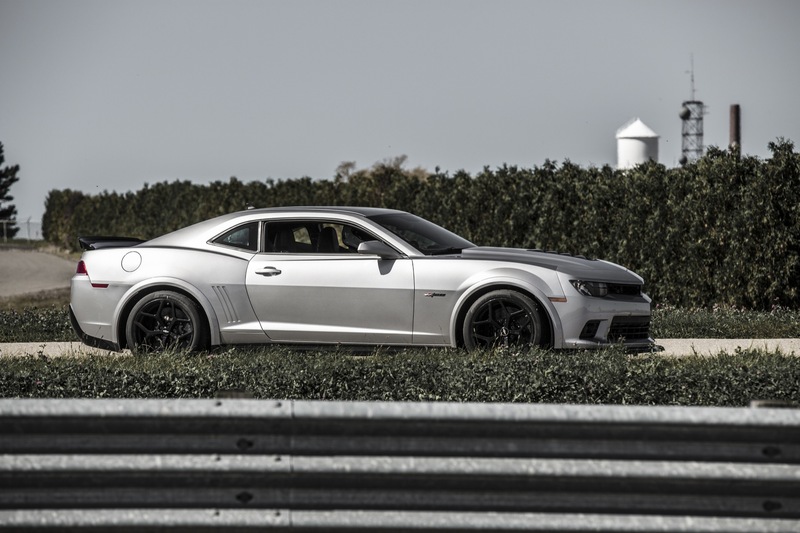 Camaro as a track car sounds pretty funny. 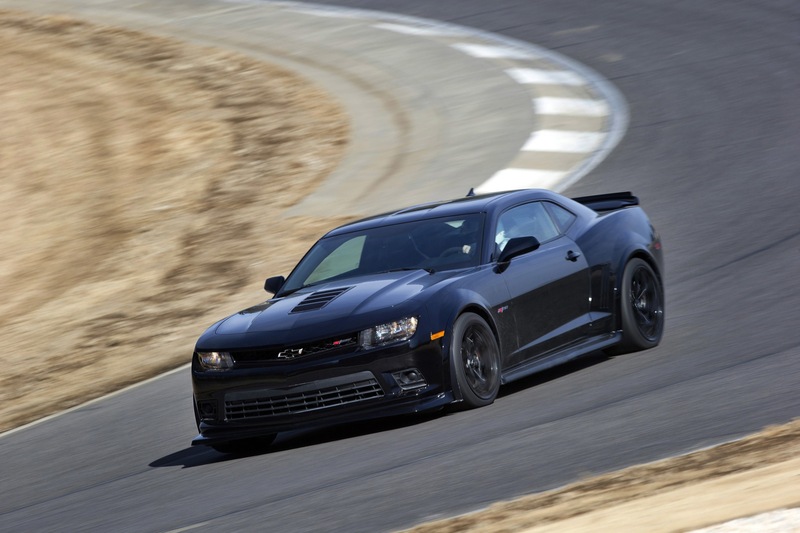 Is it possible to make a 3600 lbs tall riding behemoth handle on the track well? 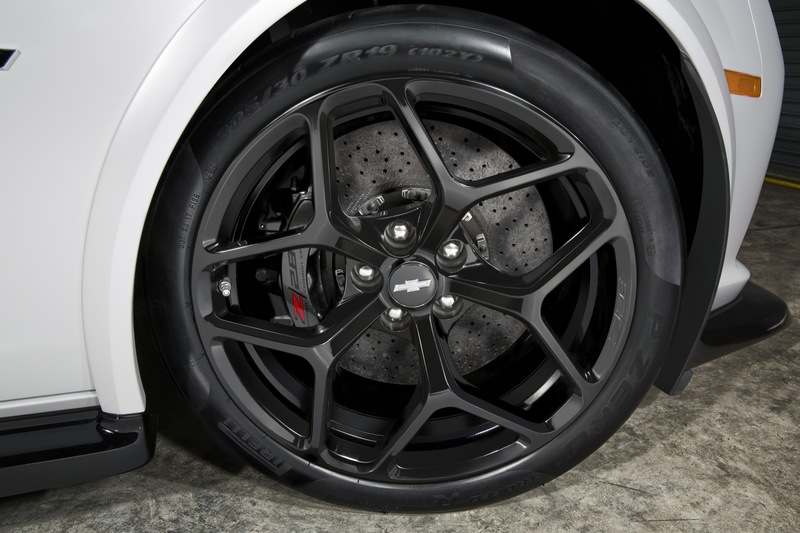 Well, to a certain degree, yes but this comes with a price: fast wearing brakes and tires being of immediate concern. 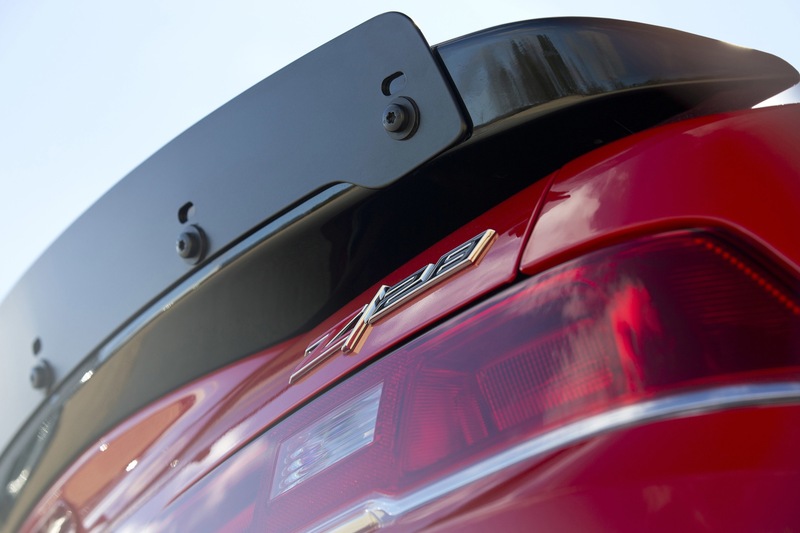 Will this car be a peer to Lotus Elise or Porsche Cayman? 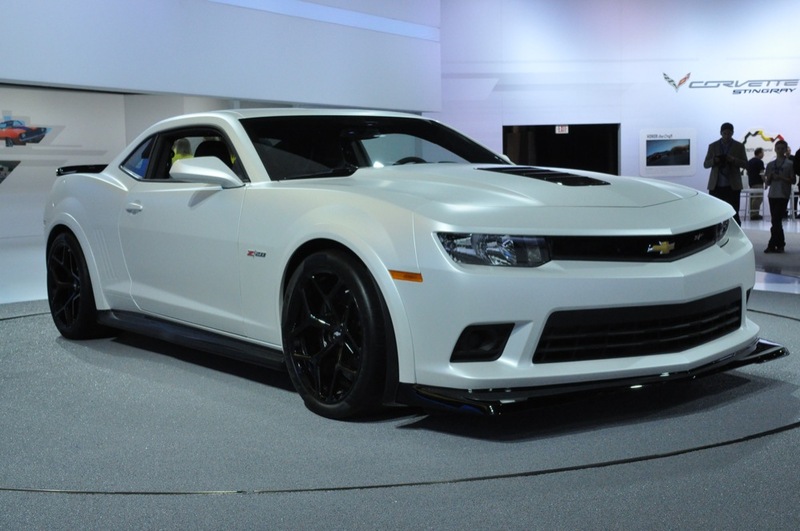 NOT A CHANCE!!! 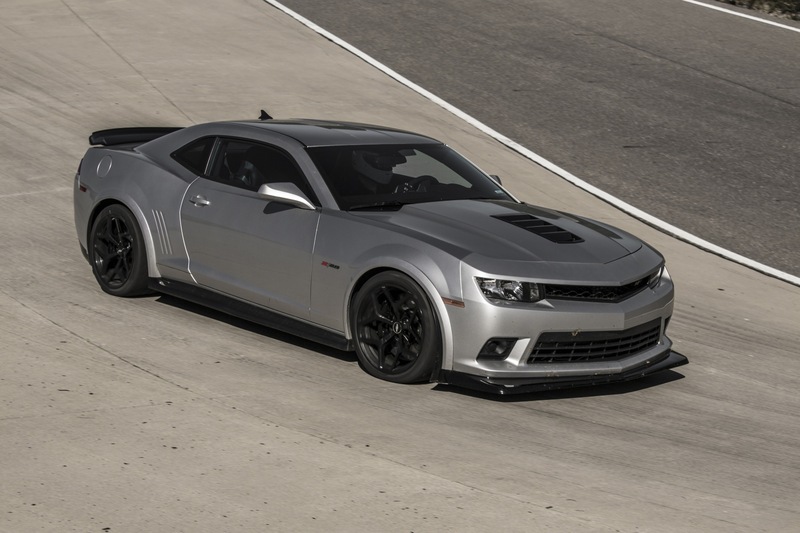 If track events are limited to Ford Mustang, Dodge Challenger and Camaro, yes, this car will shine, otherwise, look somewhere else to spend your money. 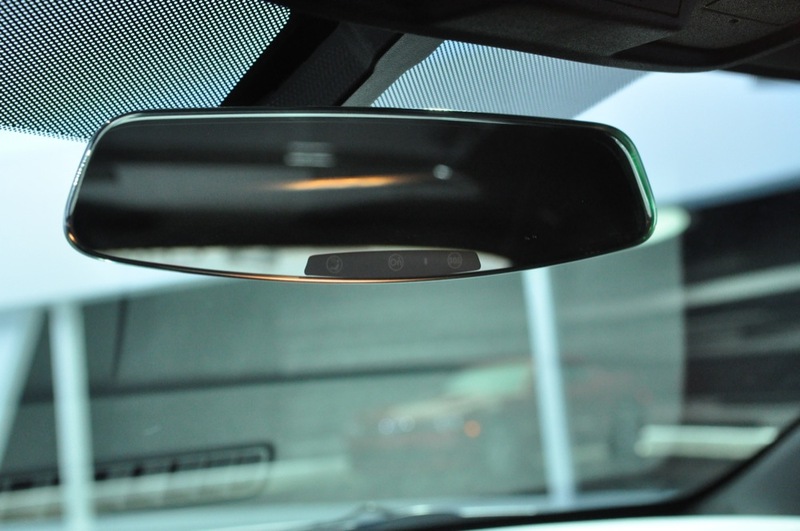 On the bright side, tracking a car with the tall hood obstructing the front vision and huge blind spots all around should be a lot of fun. 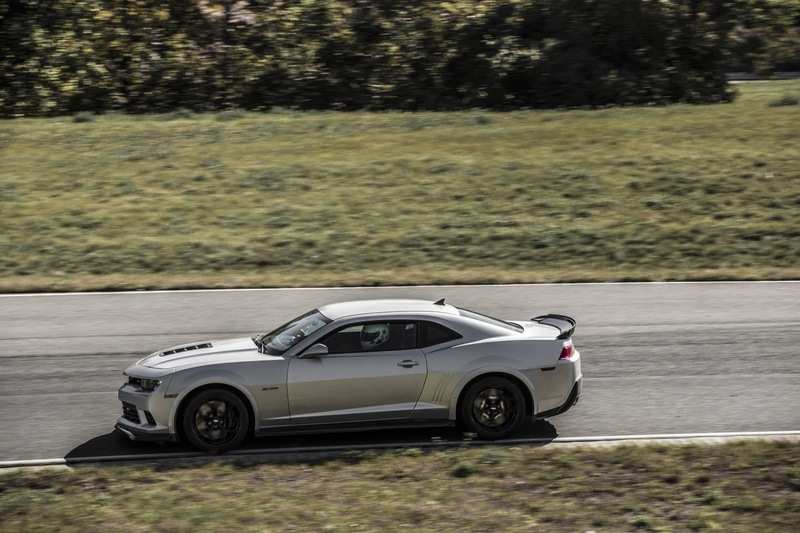 You can put LS7 in a Camaro and claim weight savings all day long but the reality is that money would be considerably better spent on C6 Z06 if anyone seriously considers spending any time on the track. 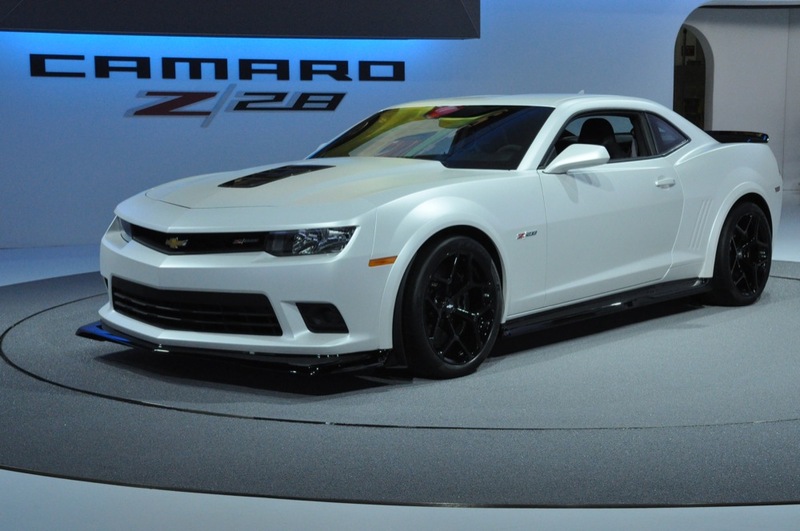 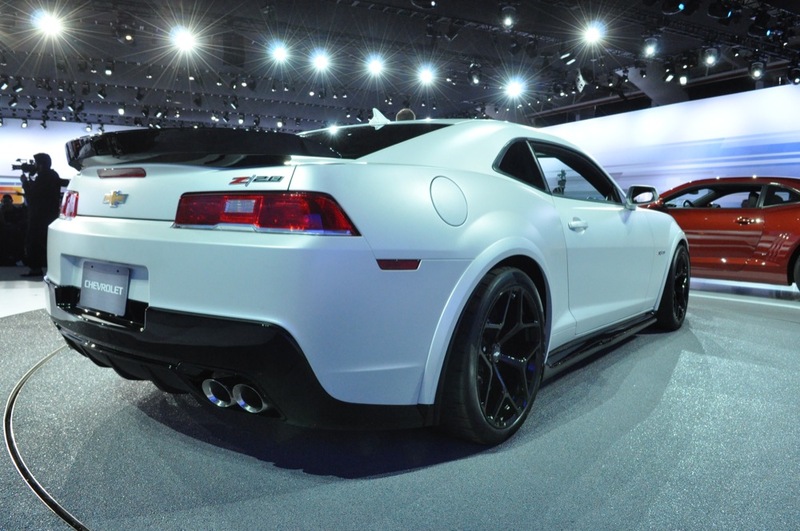 I wonder if you stripped out all the options out of a ZL1 and put the same tires used on the Z/28 how close it would perform to the Z/28 and price difference is $75,000 – $58,000 = $17,000 for upgrades to the engine if you wanted to get performance packages from Hennessey Performance or else where. 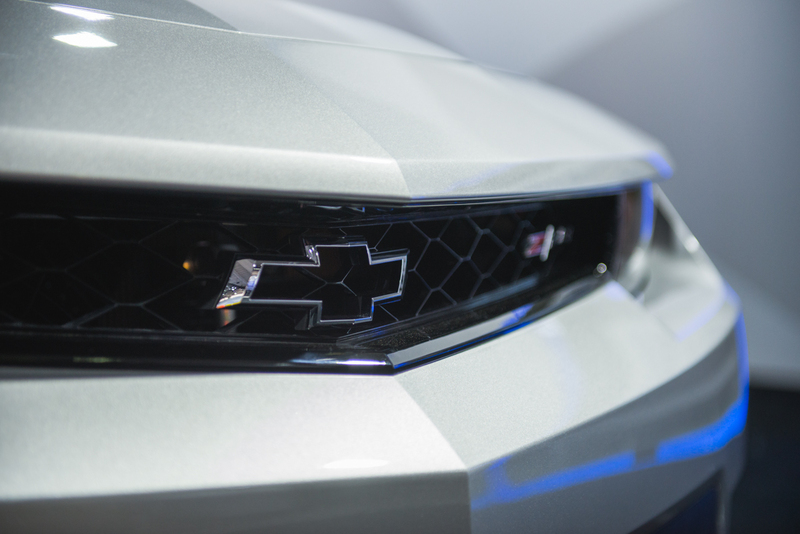 Liteblue on:Community Question: Could The Chevrolet City Express Be America’s Next Mail Truck?